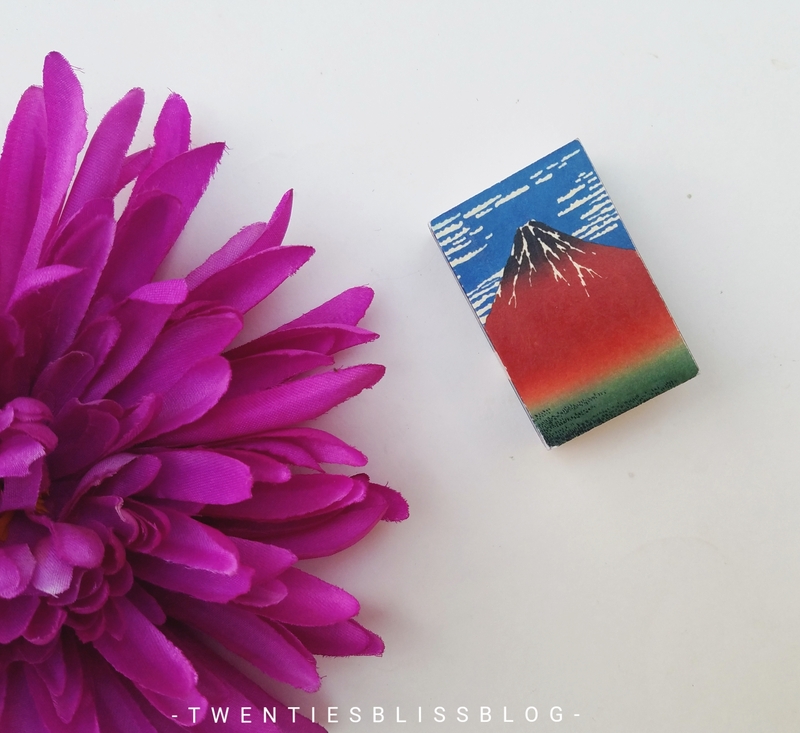 twentiesblissblog – Transformation Of An Introvert Studious Geek To An Extrovert Girly Girl Beauty Addict!! Cherry blossoms are a big symbol of spring Known as “sakura” in Japanese, these pale blooms are a symbol of more than just spring they stand for renewal and hope. 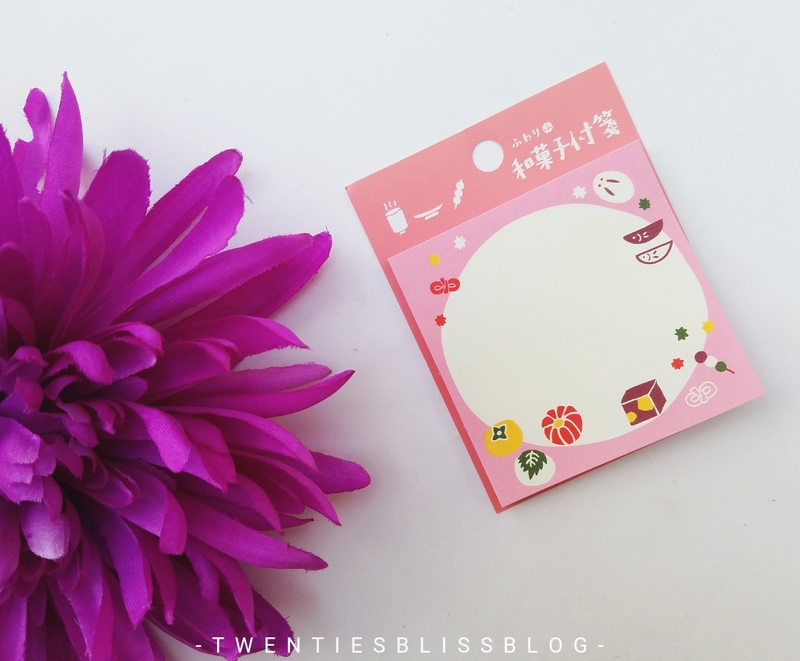 Zenpop’s April Stationery Pack is all about sakura. Lets get into it. 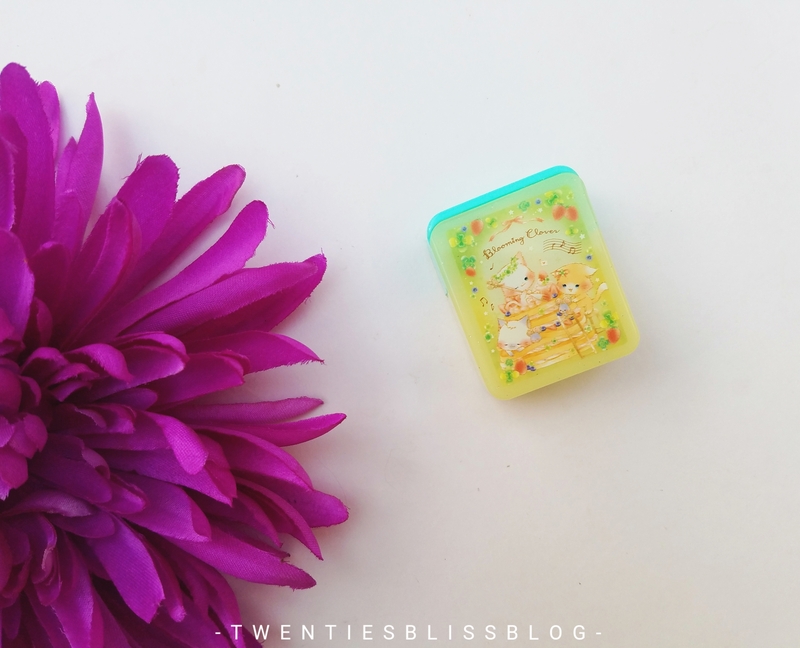 As many of my readers already know that i love pastels, zenpop has won my heart by adding these pastel paper clips in the pack. There are 16 clips included in a pack with four different colour combinations. 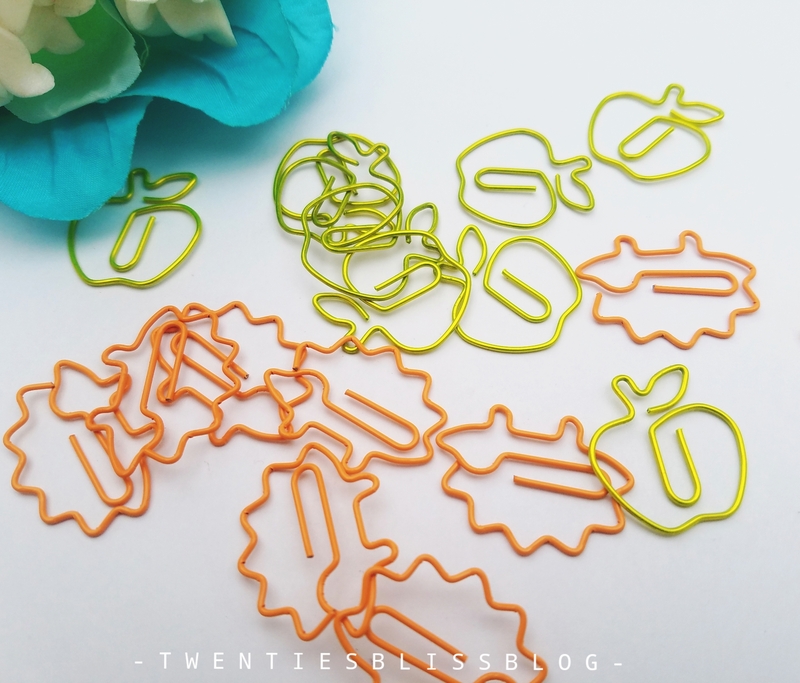 These clips can be use as a page marker too. For those who dont know, bento is a traditional japanese lunch consisting of rice balls, barans etc. 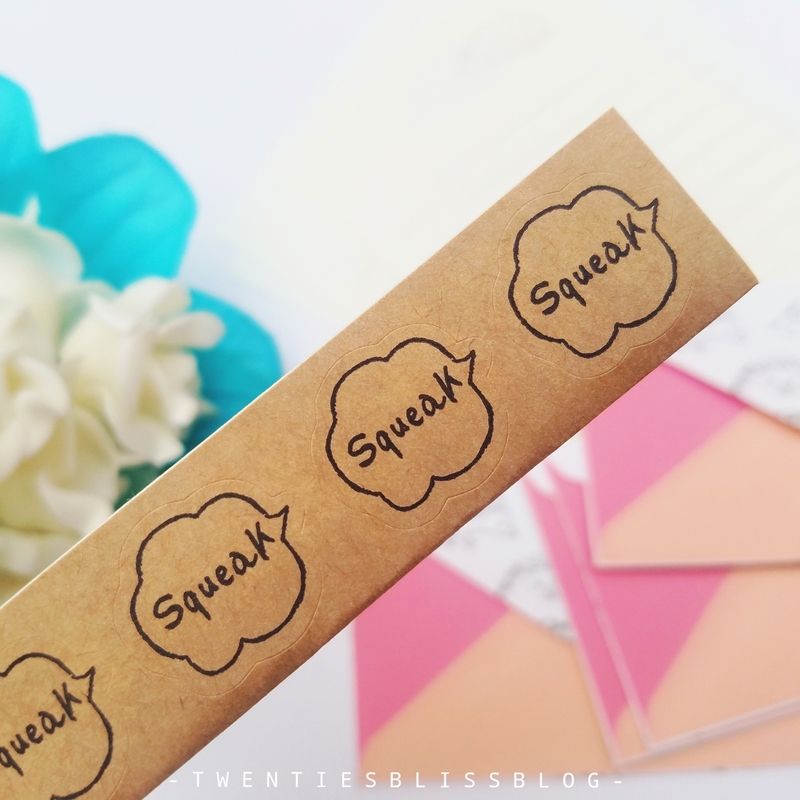 These stick markers are inspired by bento. 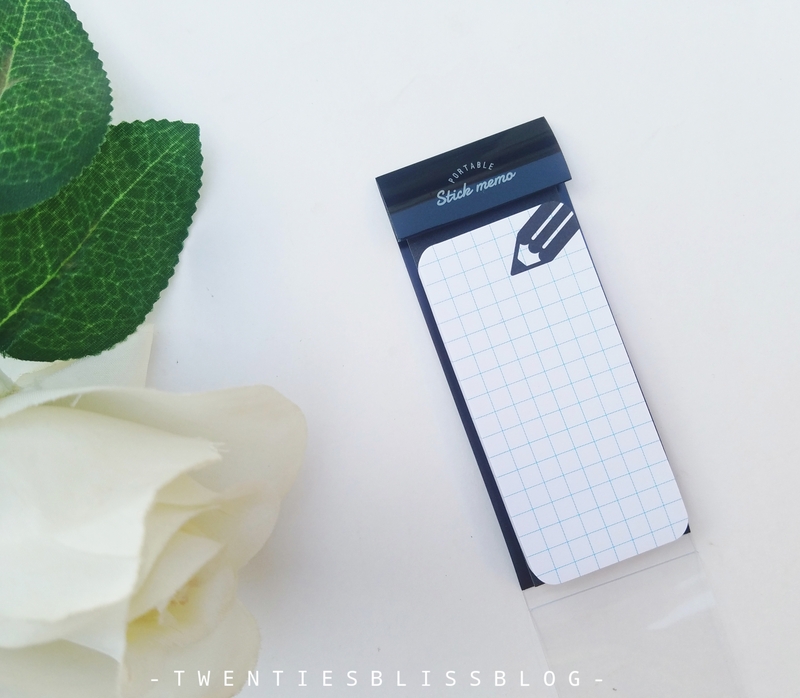 These sticky notes are so convenient to carry in a pencil case or inside a pocket of your journal. Here goes my most favourite items of the box that is the sakura washi tapes. They have included two variants, golden sakura and night sakura. The golden sakura is one of the new launch of BGM. It is beautifully foiled with gold printing. While the night sakura or Yozakura which means night cherry blossom is just so aesthetic. 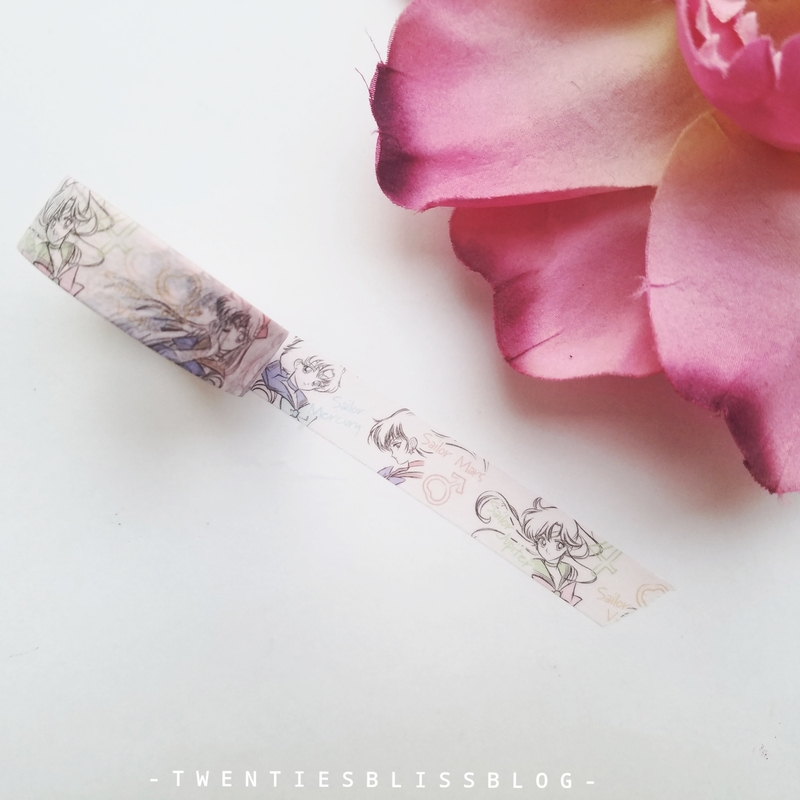 The illuminated sakura flowers on a dark background makes this washi tape a 3d product. 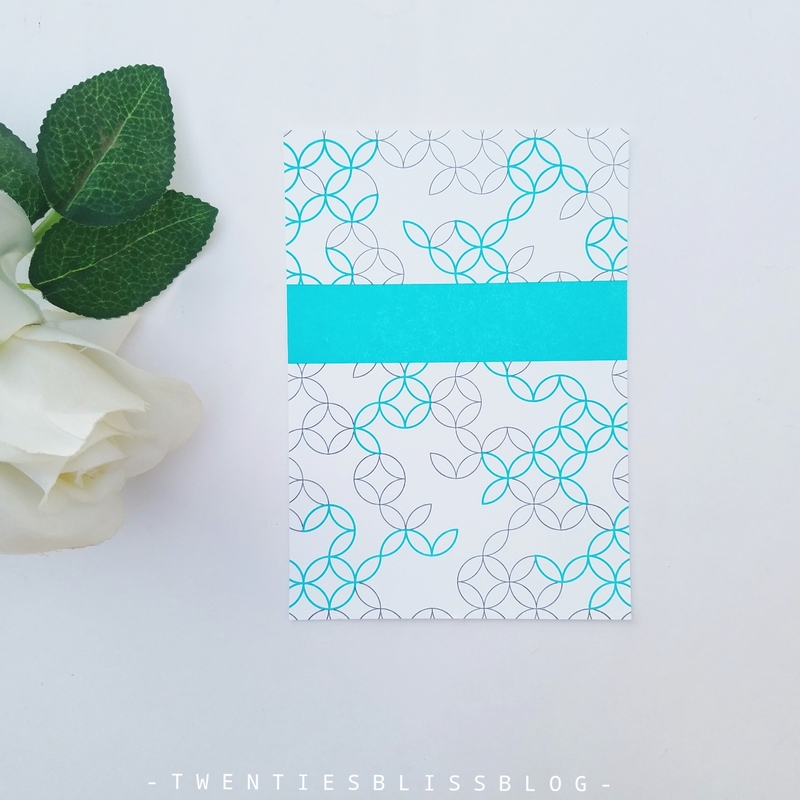 I love stickers in general, but have you heard about the washi stickers? Yes you heard it right! 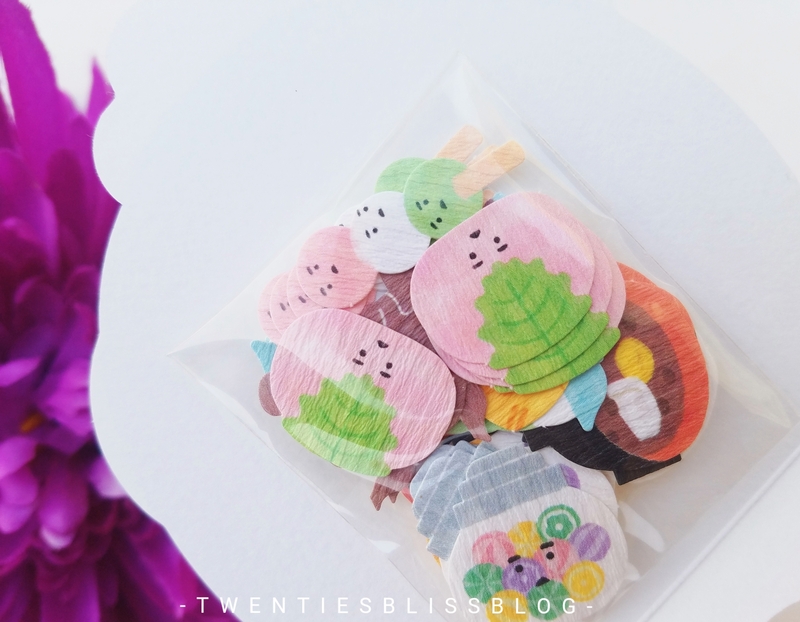 These are no ordinary but washi stickers that are dyed by japanese craftsmen, these are shaped in sakura, but the patterns are traditional japanese designs. Litterally likr the kimonos or those japanese lanterns we ve been watching in movies. 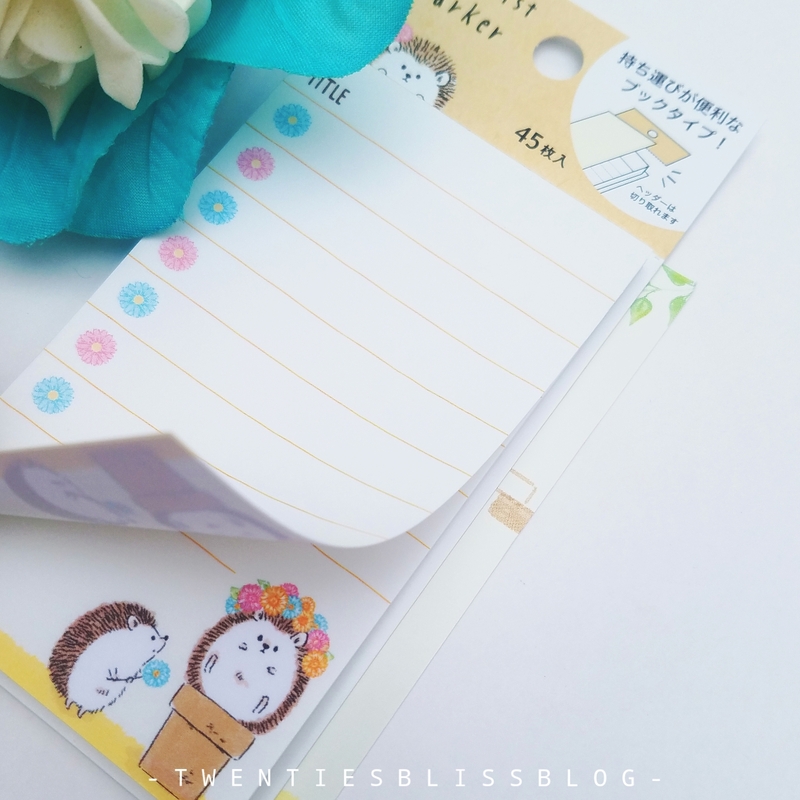 After all the stickers and washi tapes, to complete the collection they have added these super cute sakura sticky notes that can be stand on your desk. A very unique and i bet you ve never seen a pencil like this before, atleast i didnt. 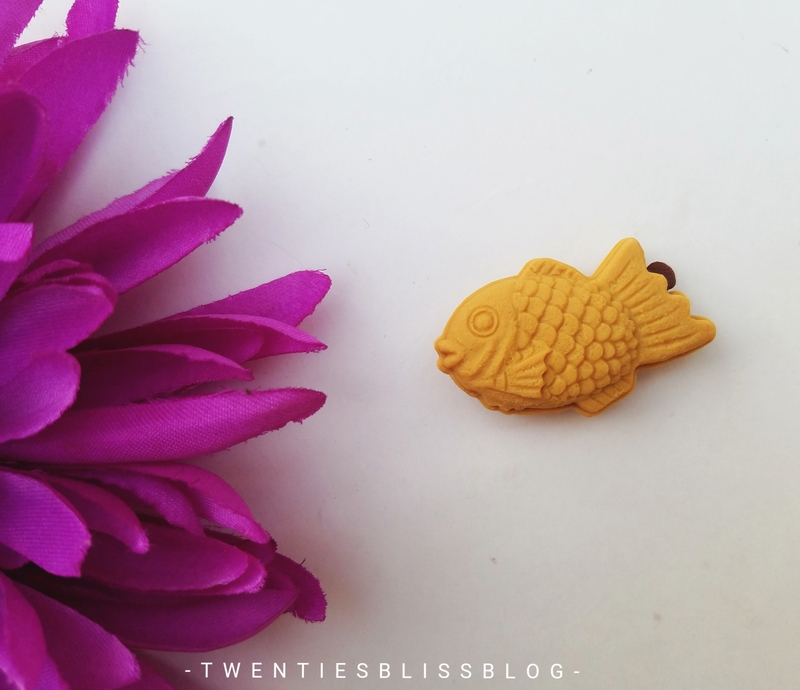 So this pencil is carved in sakura flower shape. And they said if you carefully carved out the shavings with blade it will comes out in the shape of sakura petal. Isnt it amazing? Japan has taken the stationery to the next level for sure. 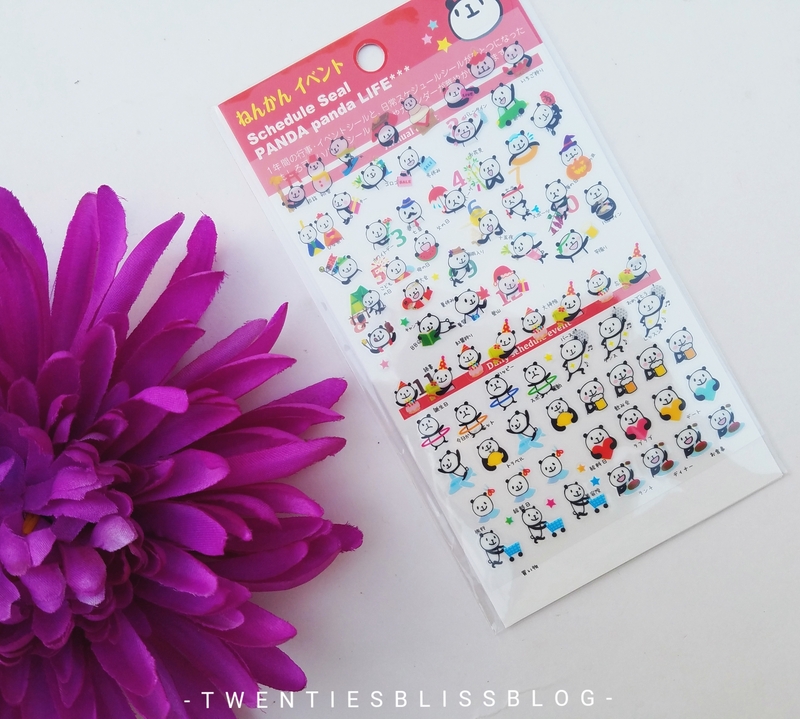 Just as we discussed earlier about bento, these stickers are inspired by the bento too. Harapeko means very hungry in japanese while obento is a lunch. 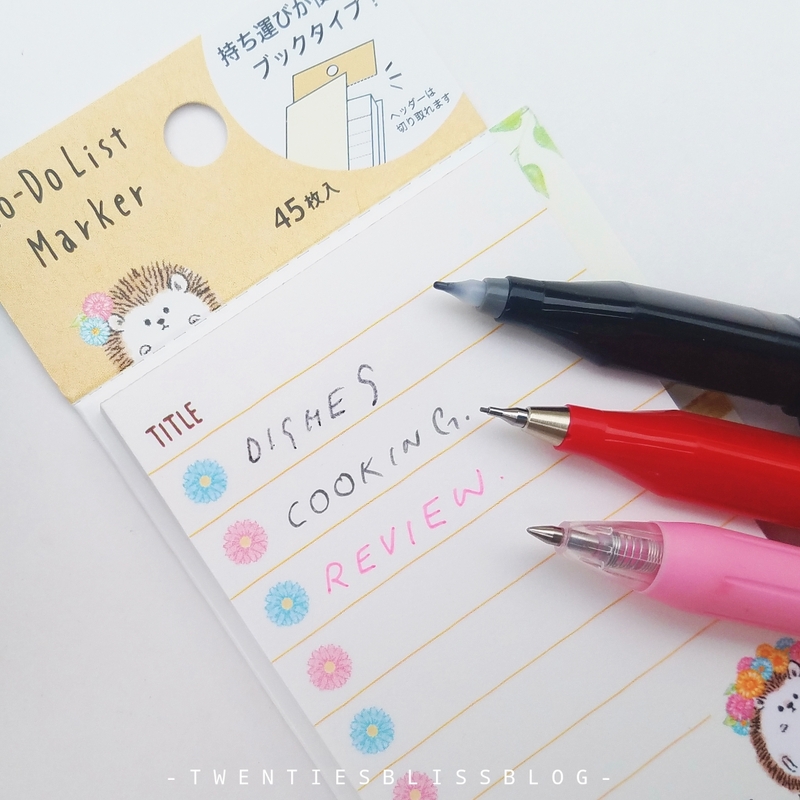 These stickers go perfect with my bullet journal spread. There are two writing utensils included in april’s pack. Zebra always comes out with the best clip pens, this time they have launched 5 new colours in clips. I got the most beautiful bordeaux purple. The pen is inky and pigmented. Loved the smooth writing. This pen is matched with the paper clips in the pack. 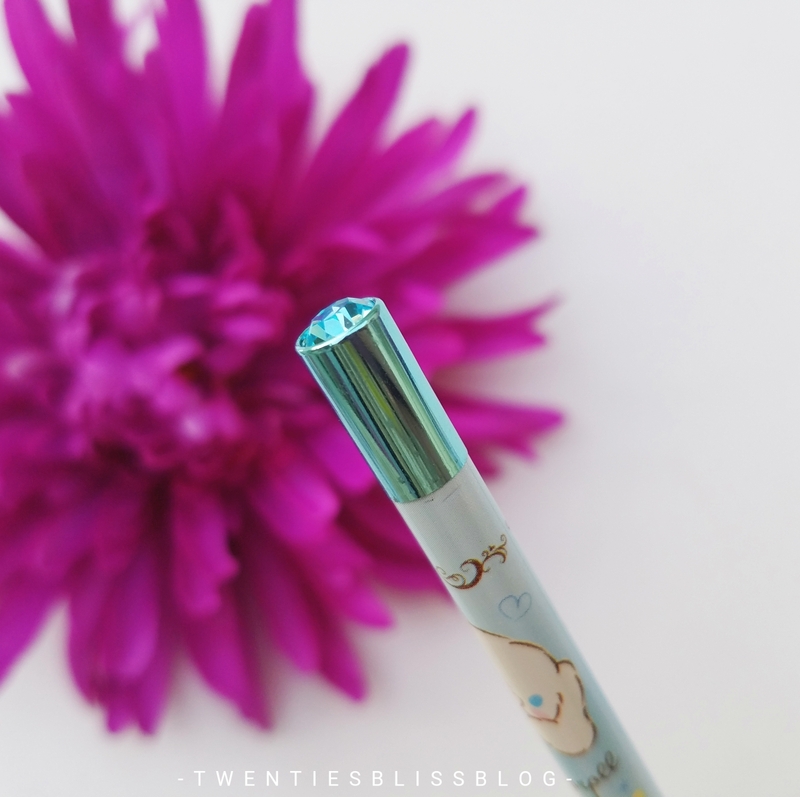 Rainbow pens are very much in trend these days which changes the colour as you write. This is also one of their new launch. Studies conclude that even 10 minutes of yoga a day can have positive benefits on your physical and mental wellbeing. Yoga exercises are designed to resolve internal tensions and thus bring out inner happiness. The exercise improves health in the body and increases positiveness in the mind. Yogi surprise is a subscription service that plays a role to take your yoga experience to the next level. Keep Reading. Yogi Surprise is a subscription service in which every month you’ll receive products with a mission to elevate your yoga practice. Boxes include pure essential oils, natural skincare and bodycare products, candles, intention setting crystals, books, handmade journals, yoga props, accessories and so much more. Plus, a monthly yoga sequence card! All the components in Yogi Boxes are always GMO- and cruelty-free!! Yogi surprise is specifically designed to enrich your yoga practice. The box retails at $ 44.95 per month while the actual guaranteed worth of the contents is value over $85. The gratitude box is worth around $102. Keeping the old tradition alive, lets start with the packaging. The contents came in a beautiful purple hard cardboard box. It was in one solid colour yet very impressive and simple. Once i open the box, the contents card was included with all the details. I really liked the fact that despite being included the glass bottles, the package came perfectly fine with no leakage or broken products. This is my most favourite item of the box. 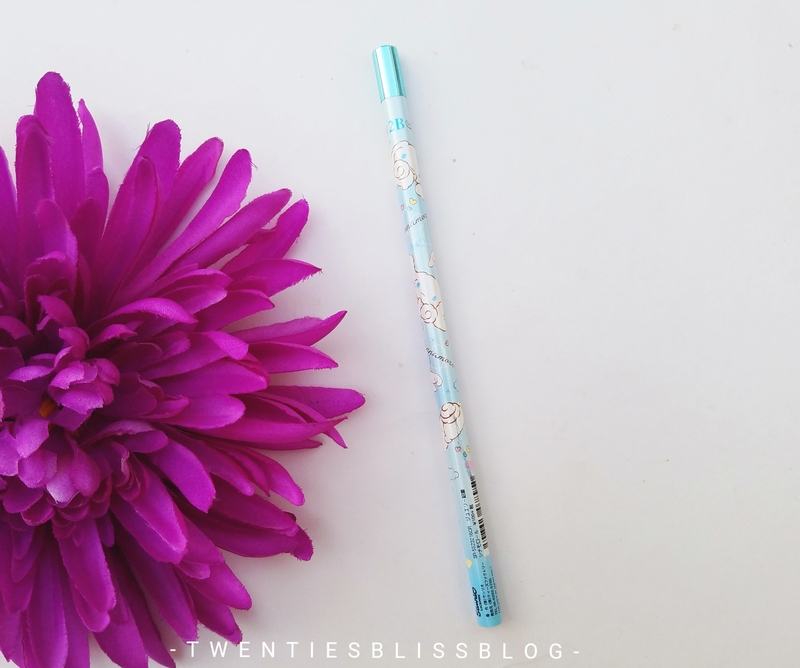 Those who are following me on My Instagram knows very well that how much i love journaling. Gratitude, possitive affirmations or simply a book keeping are my things. 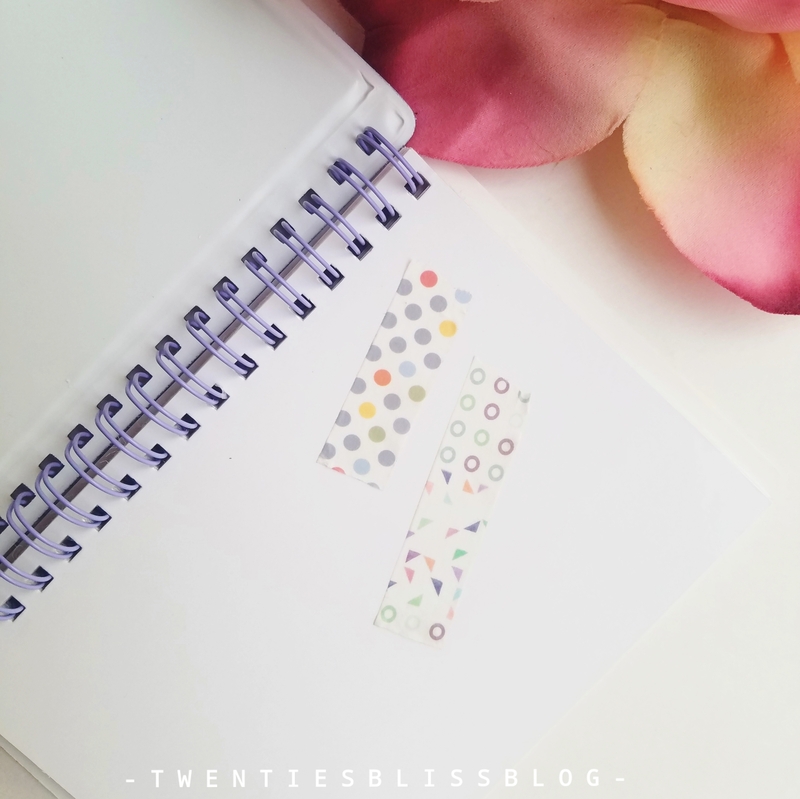 The journal included a page for everyday to write your grateful thoughts. It really helped me to reflect on my soul. It is designed by Carrie Elle. Essential oils are great if we incorporate it in our daily routine by any means. They have included the comfort essential oil By Bombay And Cedar which possess all the calming and relaxing qualities of peppermint, lavender, rosemary and many more beneficial oils. I just loved the way it works with my diffuser. I just loved the smell of this spray from Mystic Ginger Apothecary added for disinfecting your yoga matt with all the aromatic scents of ginger, grapefruit and lime essential oils. It is safe to use on skin or as a scent around you. I took it to the gym and everyone was complementing about how my yoga matt smells. No doubt yoga or meditation is one simple thing to practice but it is always fun to spice it up with a little bit of accessory. I m obsessed wearing headbands at the gym. 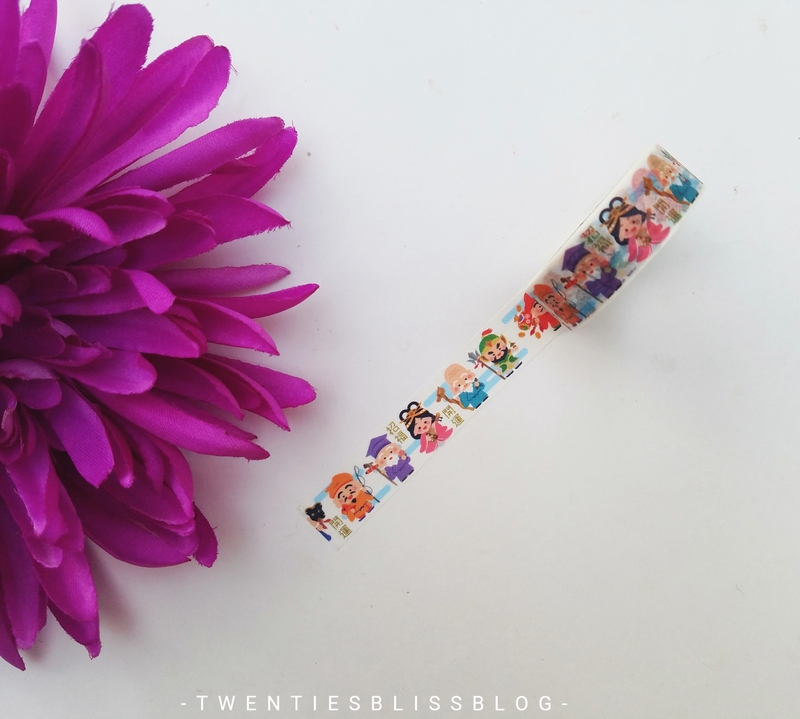 Totally in love with this soft headband by Treadband in the box. Just as the name sounds it is literally a whipped butter in a pot. The texture is buttery like i swear. 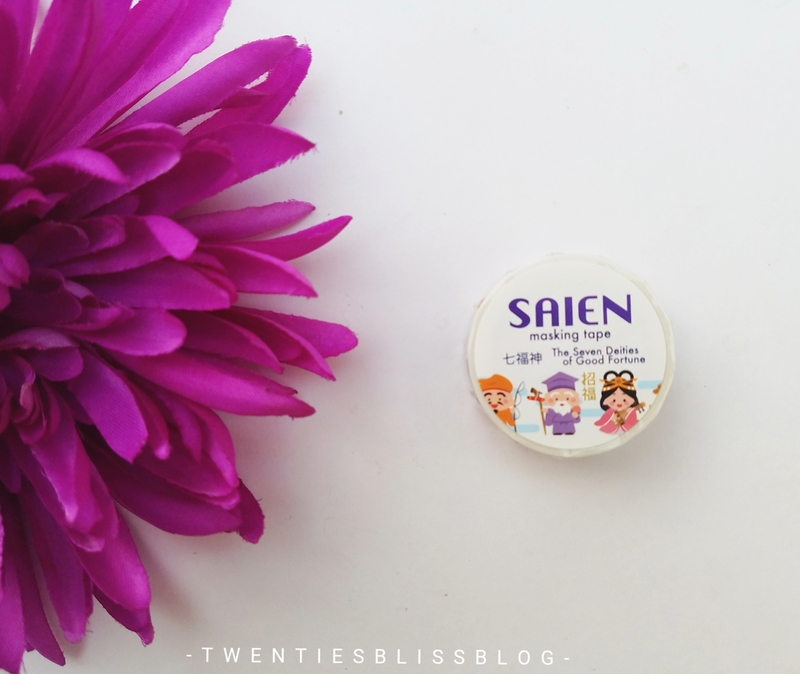 It will not be lie if i call it the softest body butter ever. It is from Butter Depot. 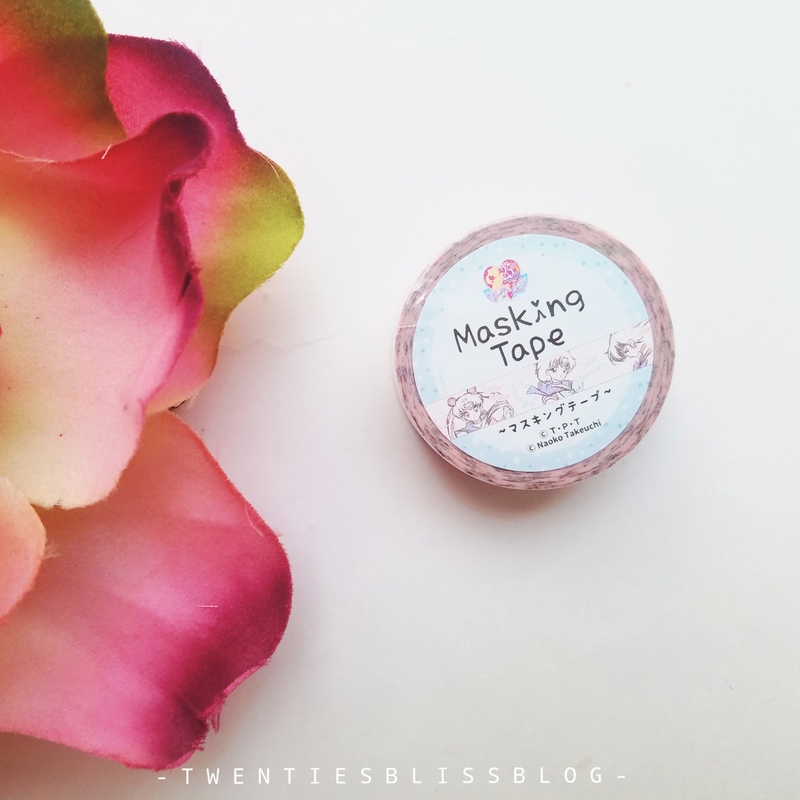 All the nice ingredients nourish and moisturize the skin amazingly. It is completely a vegan product. Japan is home to a unique and vibrant culture, along with stunning natural landscapes and exciting, ultra-modern cities. One of the most popular japanese customes is ‘hanami’ also know as “Cherry Blossom Festival” that takes place every spring. 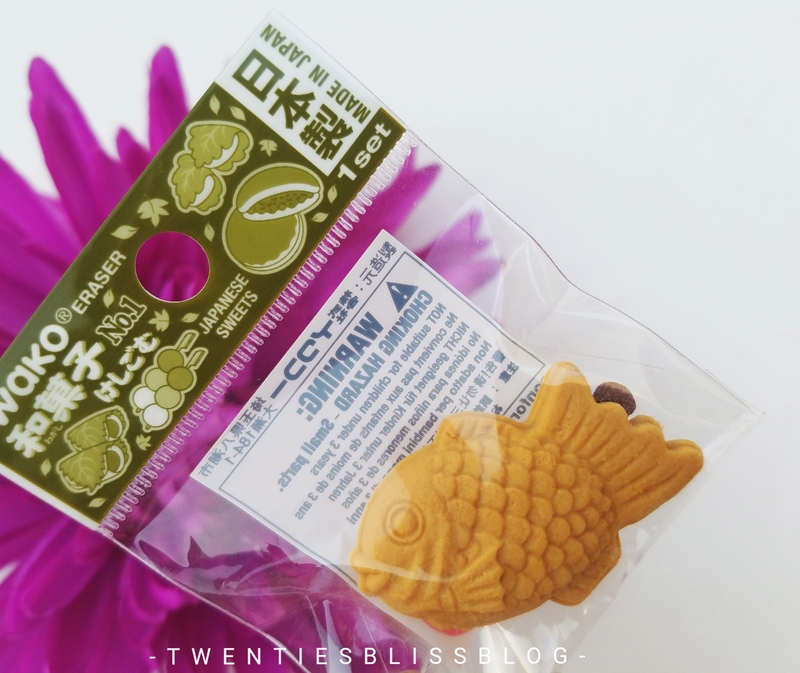 This month kawaii box features products inpired by cherry blossoms. Lets get into it. 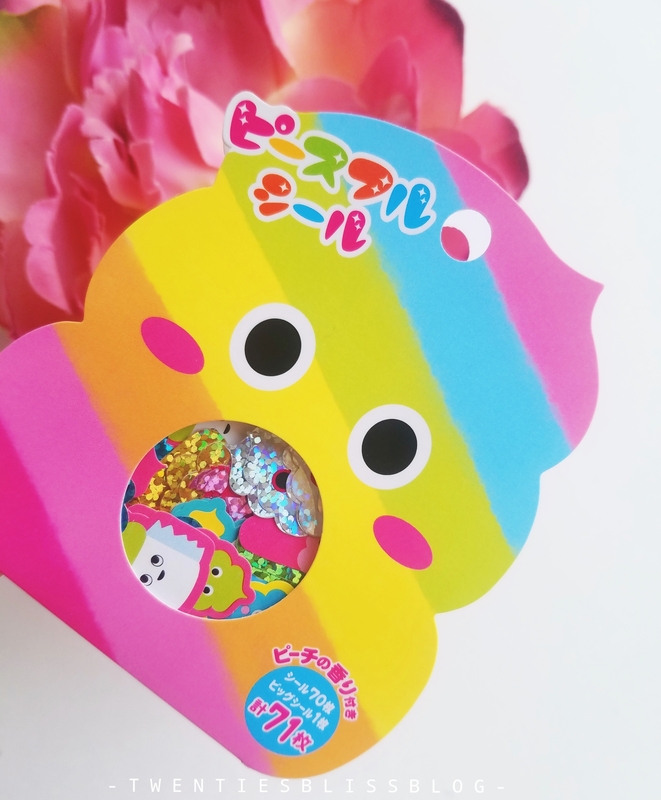 Kawaii Box is all about spreading kawaii culture and the love for cute things all over the world! 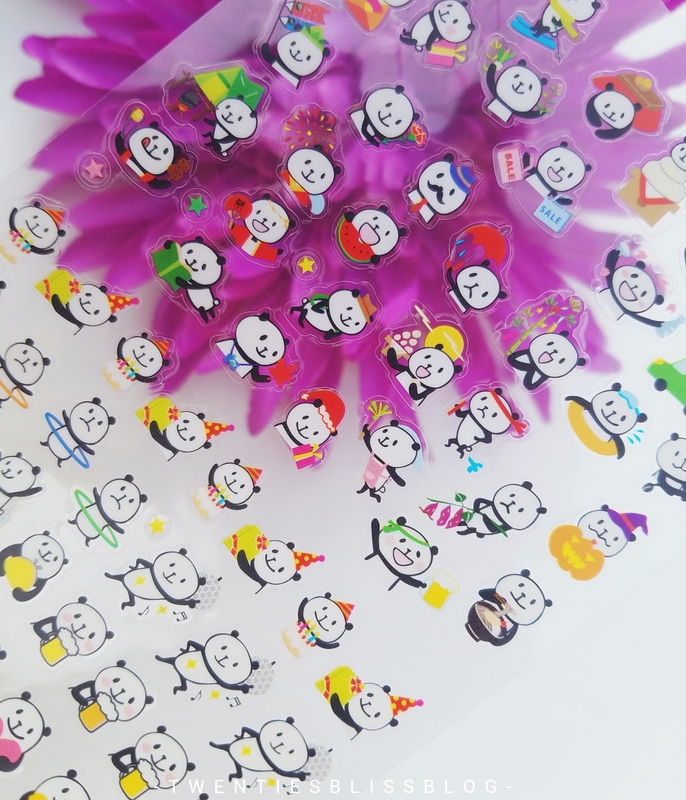 They are totally in love with everything kawaii, and believe that even a tiny dose of cuteness can provide a huge boost of positivity to one’s life. 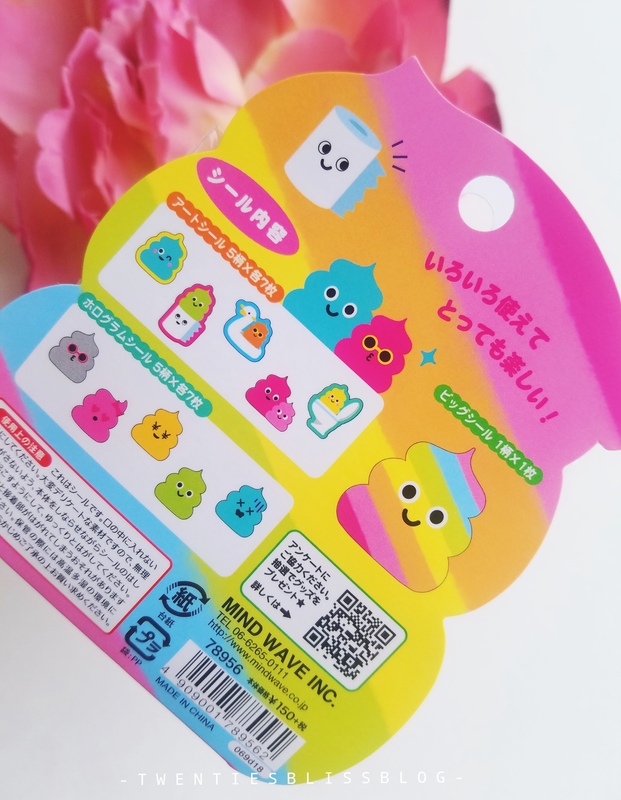 To bring that happiness to you, They carefully handpick the cutest kawaii things, and curate them into an exciting monthly box. Directly from Tokyo to your door! 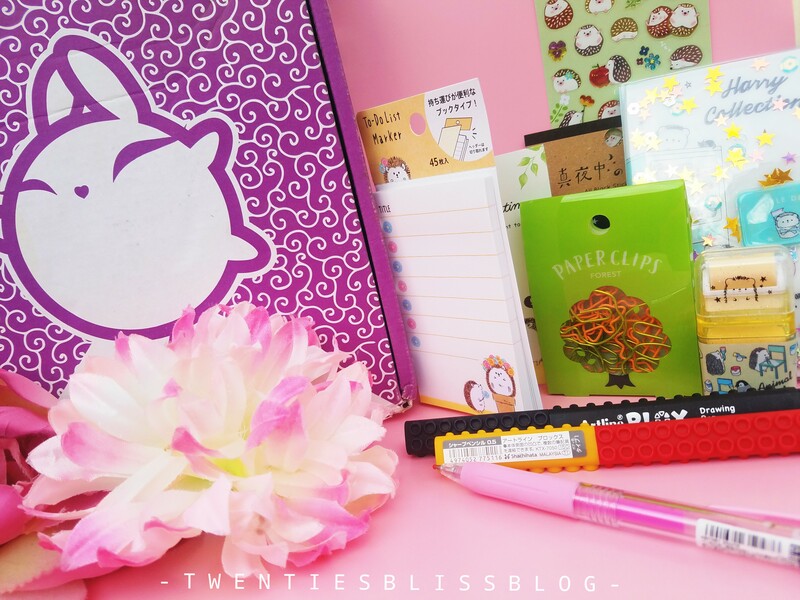 Kawaii Box is a monthly box filled with cute things, kawaii squishies, plushies & more! As low as $19.90/month approximatey 2800 PKR. 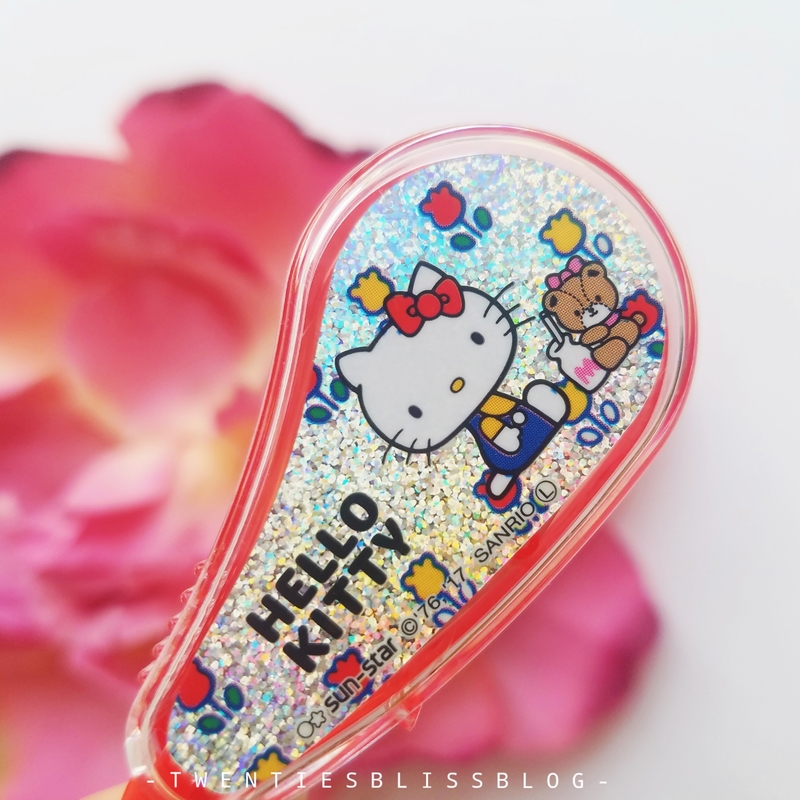 Kawaii Box features authentic cute characters & kawaii brands! 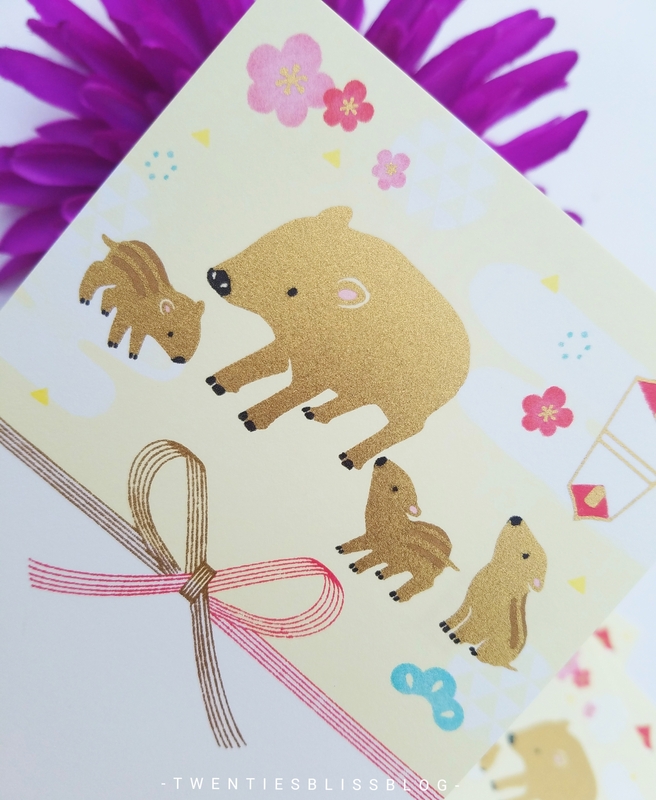 It is filled with thoughtfully curated super cute things from Japan. All the items deserves to get a look indivisually. Lets get started! Lets start with the packaging. So there is no doubt that they have put their effort and creativity in packaging. 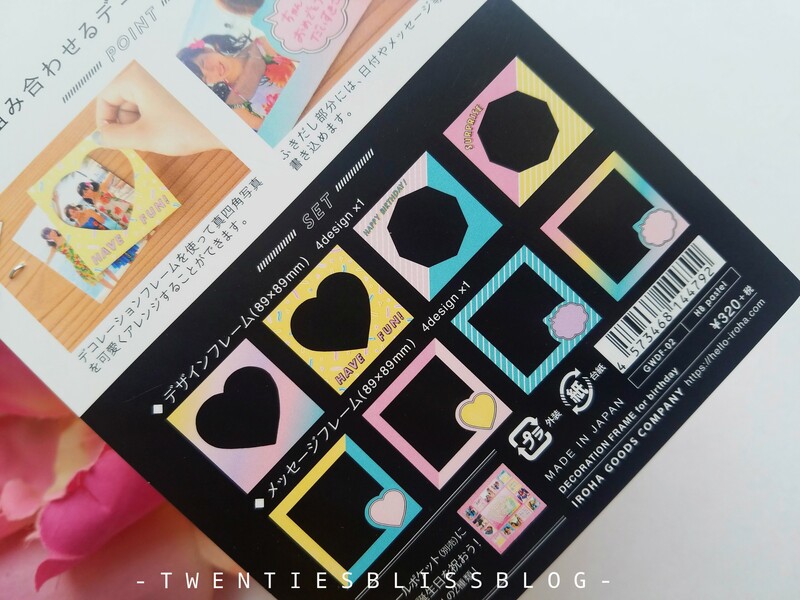 The items comes in a pink printed cardboard packaging with all the cute kawaii things printed on the box. Once you open the box, you ll get a pamphlet with all the details of the items included. The contents of the box are beautifully wrapped in a kawaii tissue paper which is putting the whole look together. What a great stary to the unboxing. Right? This is by far one of my most favourite item in the box. 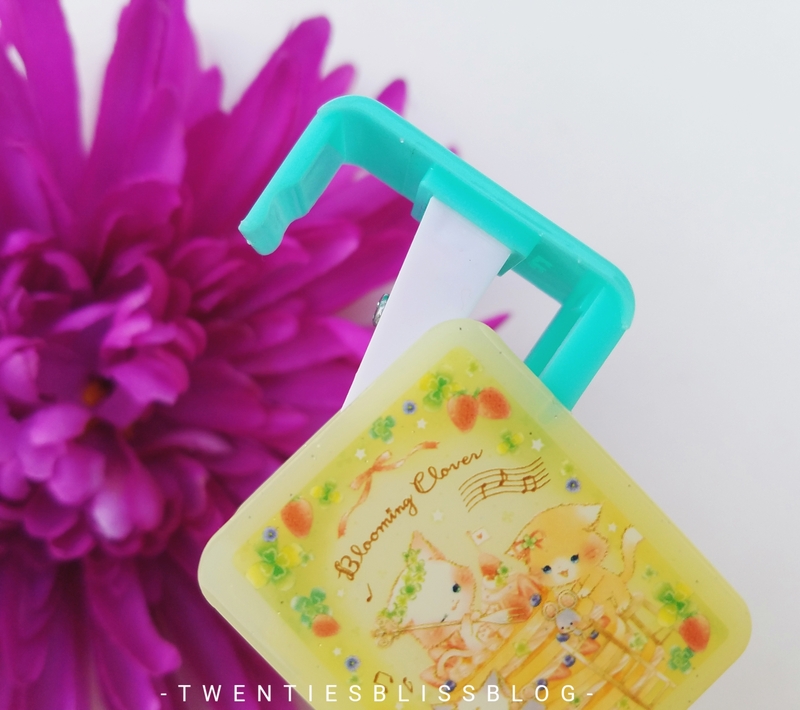 A cute set comes with 10 clips with the cutest cats on it and a string. Cannot wait to decorate my room with it. As soon as i opened the box , it smelled like grapes, i thought there must be some kind of scented stationery inside, but no. There was a pack of grape candy inside. What a fun feature to any subscription box. I really enjoyed the unboxing by eating those candies meanwhile! A pil box has been added in the box, but it is so cute that ll be using it to organise my rings in it. 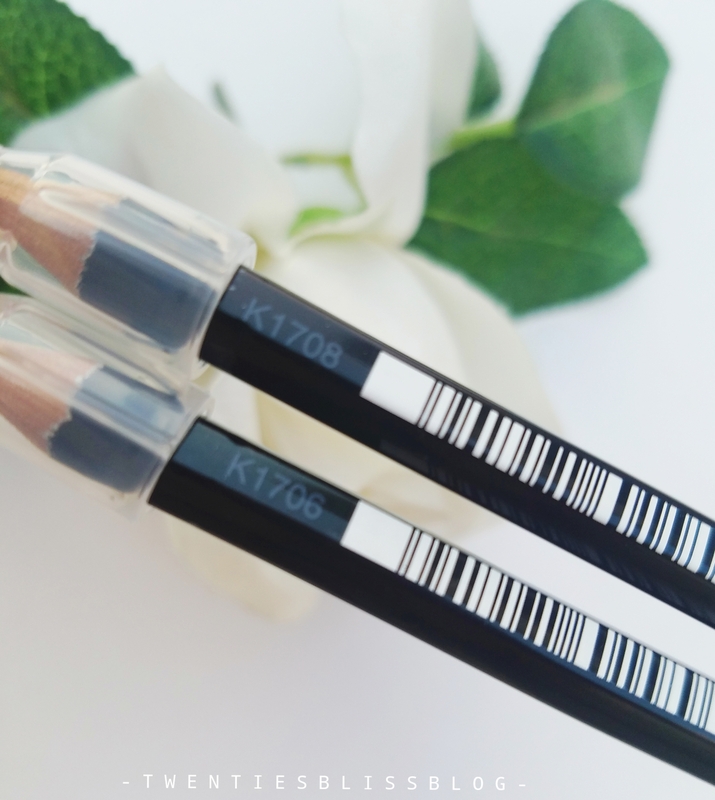 It is very travel friendly to throw it in your hand bag and carry it everywhere with you. This two in one card purse is the most useful thing that came in a box. You can use it to store your business or id cards plus it is a good compact purse to put your money inside. It features the mascat aiko dressed in a kimono. So cute! I love do it yourself projects. And i missed making jewellery too. So kawaii box got me covered by adding this magic wand which have colourful beads to make jewellery with. Despite the fact that i got 500+ notebooks, everytime i get a notebook from japan its one of its kind. 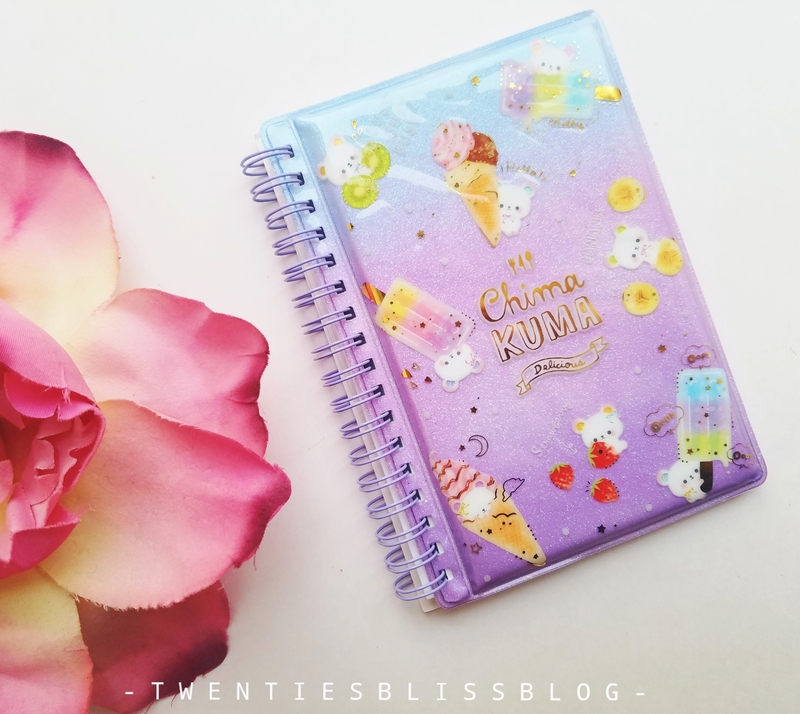 This sakura inspired notebook is so beautiful and handy. 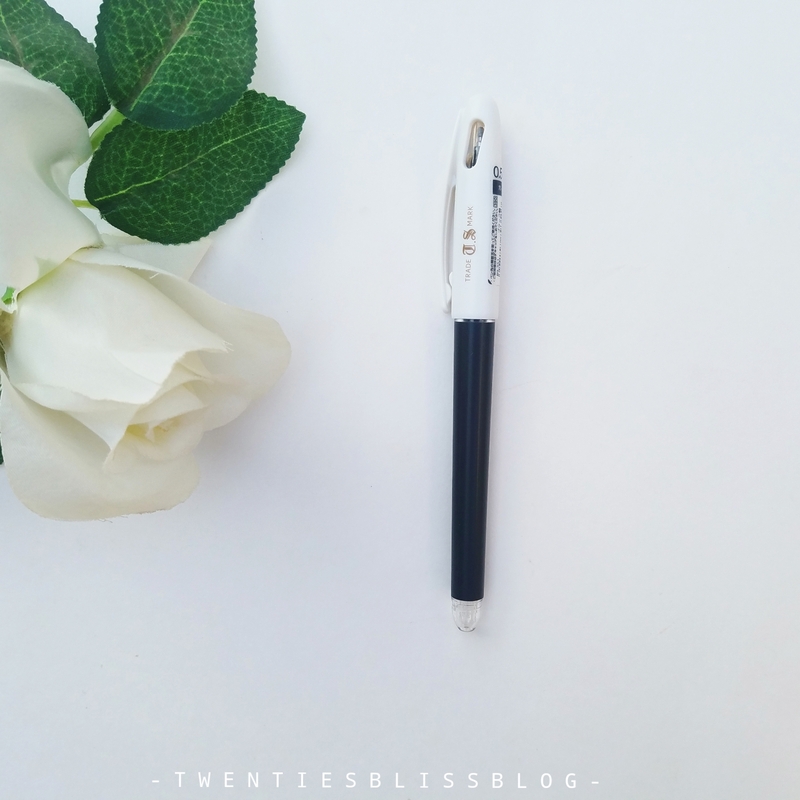 You can use it for journaling or to write your thoughts throughtout the day. Loved the stitching though. Kawaii box cannot be completed without a squishie or plushie in it. Neko Dango is a combination of cat and dumpling. 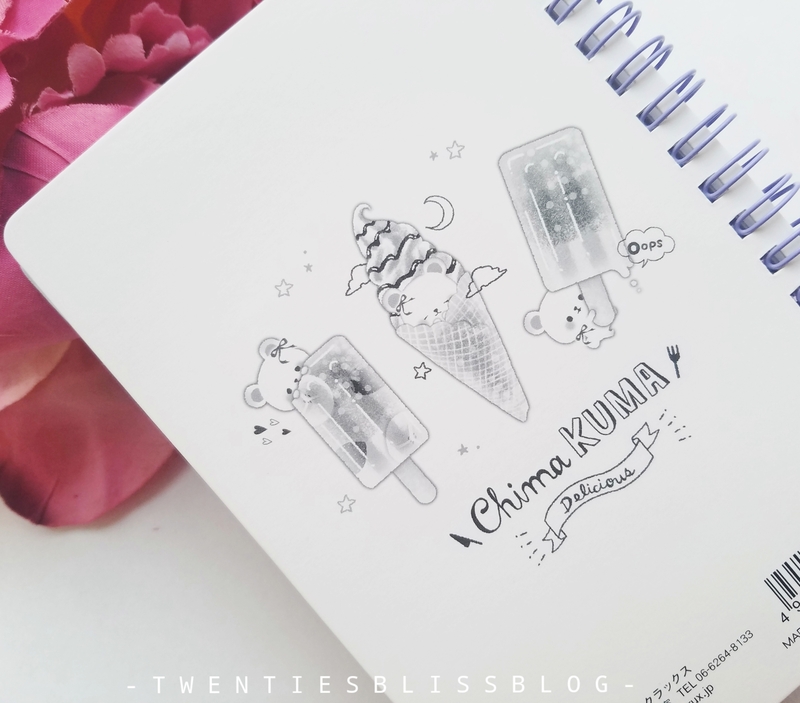 I am obsessed with cherry blossoms since my childhood. If you can recall this movie called 5 centimetres per second. I was introduced to the cherry blossoms for the first time. 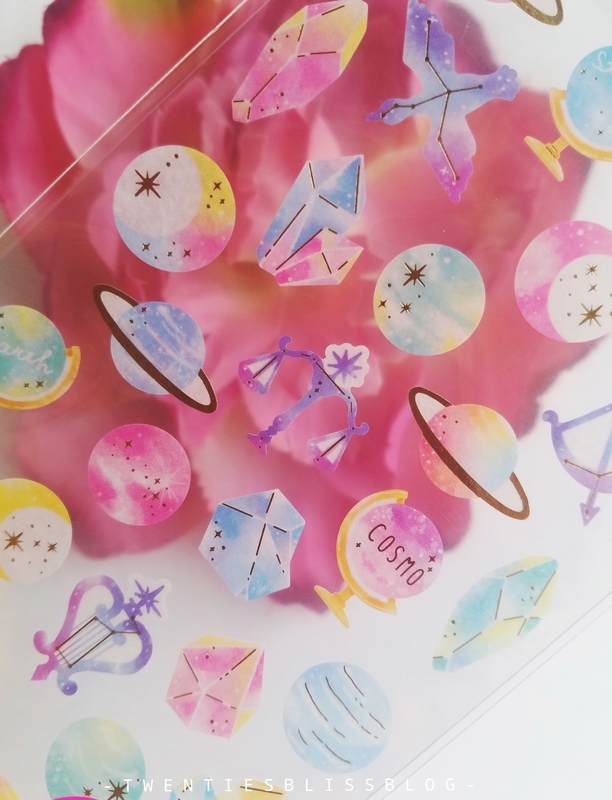 Loved these stickers, that are perfect for my bullet journal spread. Now correcting your mistakes is a lot more fun. 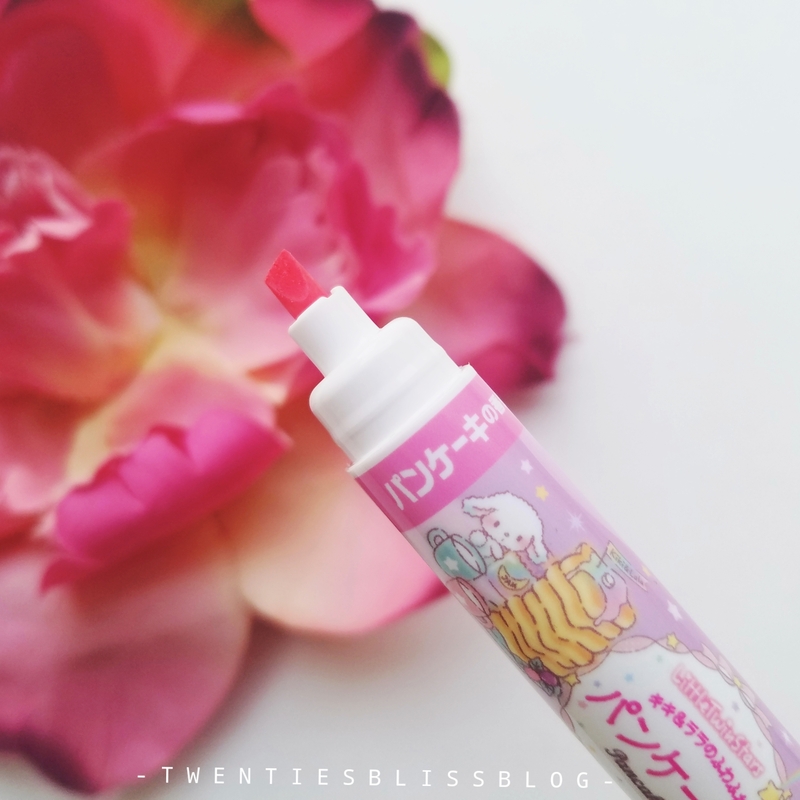 It looks like a lipstick, but it is an eraser actually. Trick your friends by throwing it in your pencil case. Pastels are my thing. I love anything in pastel colour. 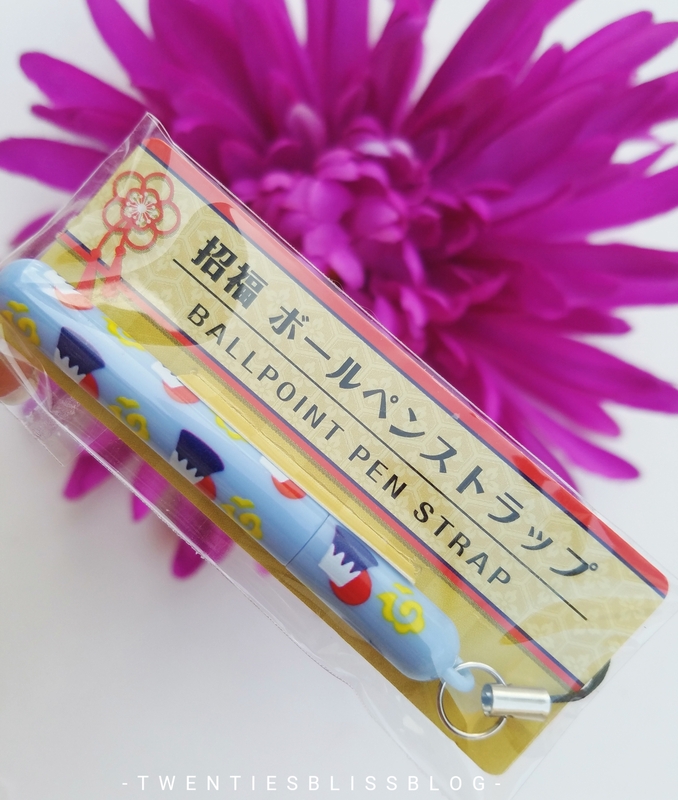 They have included this pen that has a clip on it to attached it on any notebook. 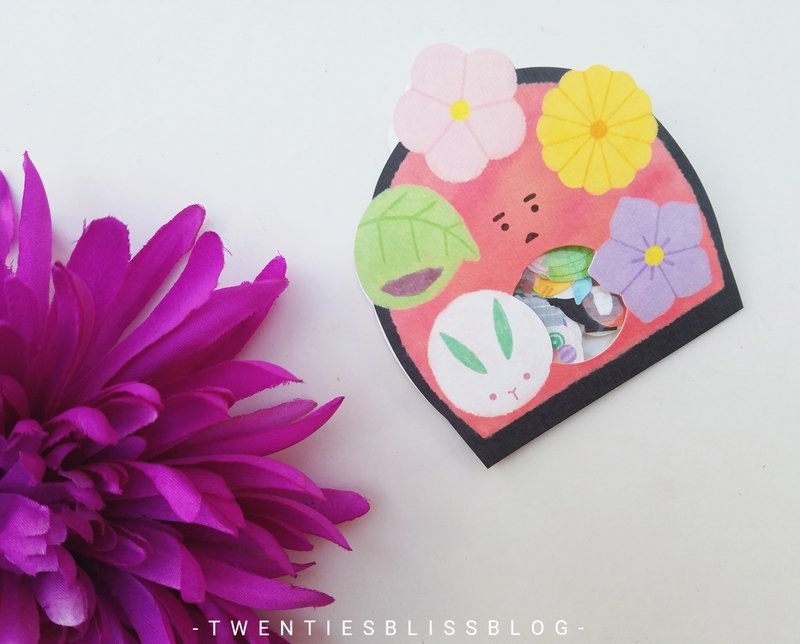 If you are a fan of cute and kawaii stuff, then this box is a must have for you. Especially the value we are getting in $20 , is remarkable. Highly Recommend! Hedgehogs make great pets. It is a domesticated species known to be intelligent, friendly and enjoyable company for a dedicated owner. 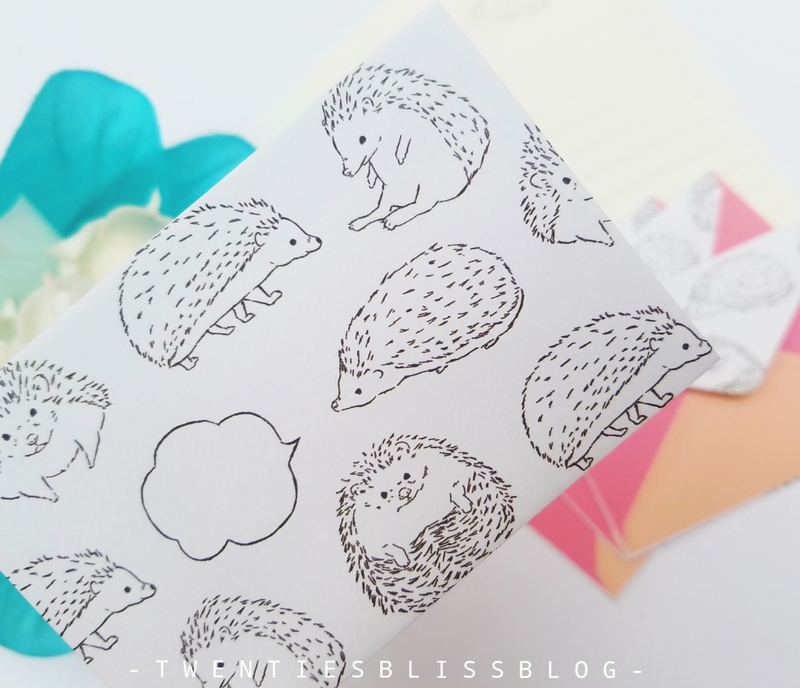 But what about hedgehogs on your stationery? Curious? 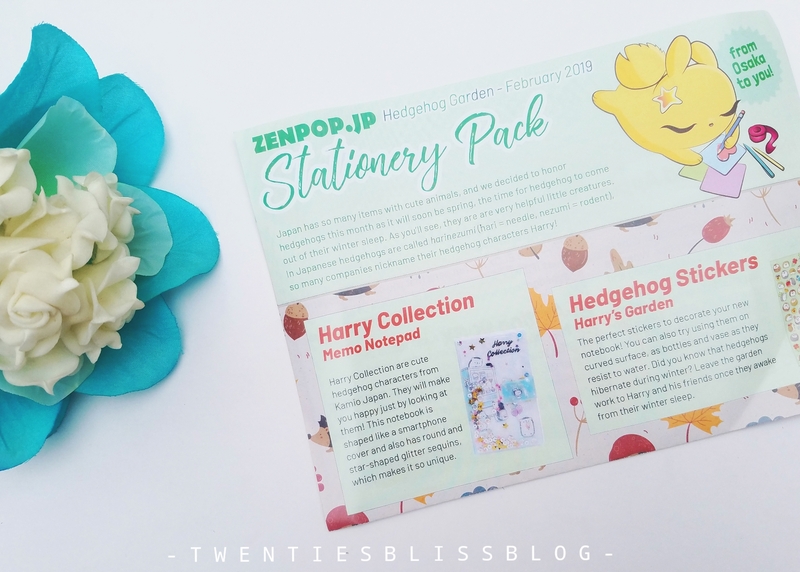 Read the complete blogpost as Zenpop’s February stationery pack is all about hedgehogs! Just as we do all the time, we ll look into each item one by one. So, lets start! 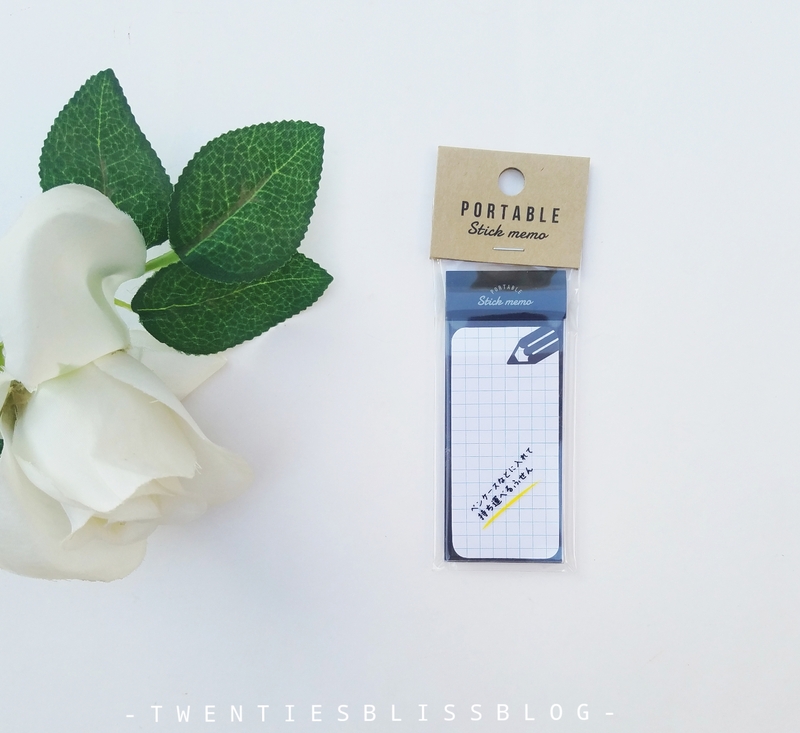 This magnetic notepad has all of my attention in this month’s stationery pack. It is filled with sequences which makes everything looked so much kawaii and sparkly. I loved the fact that instead of having lined or blank pages it has a grid layout. You can easily throw it in a handbag on the go. 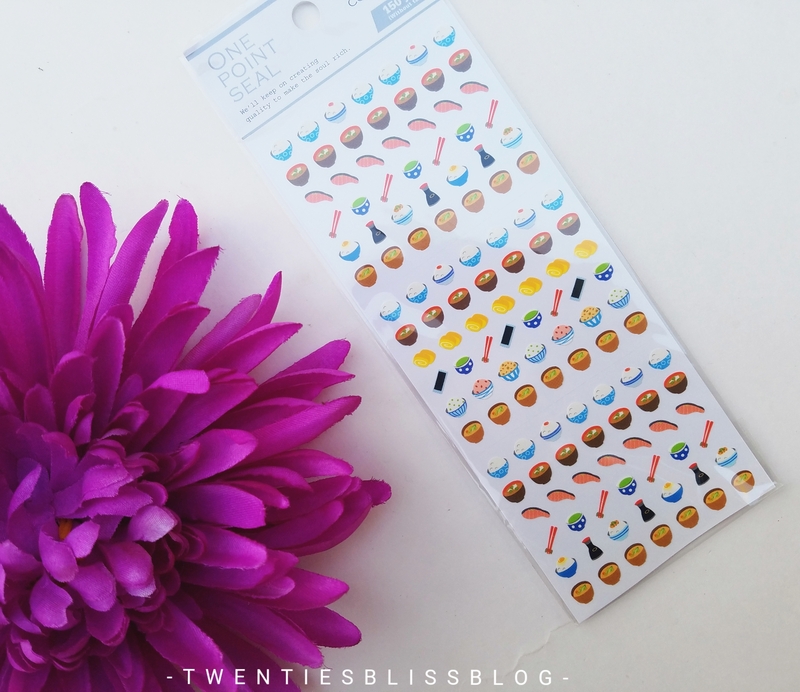 Who doesnt love foiled stickers? And especially when it has a hedgehog touch to it. 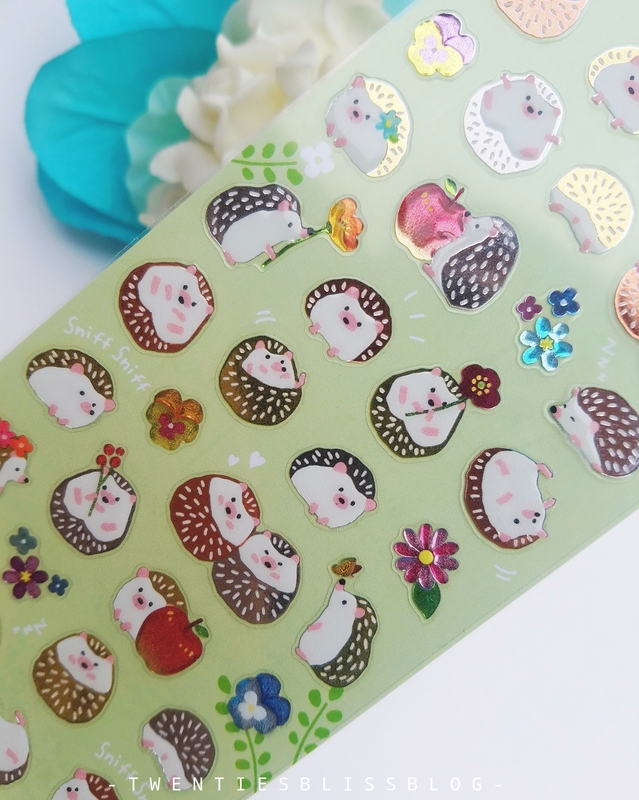 Cute little hedgehogs with foil printed 3d stickers cannot get any cuter. 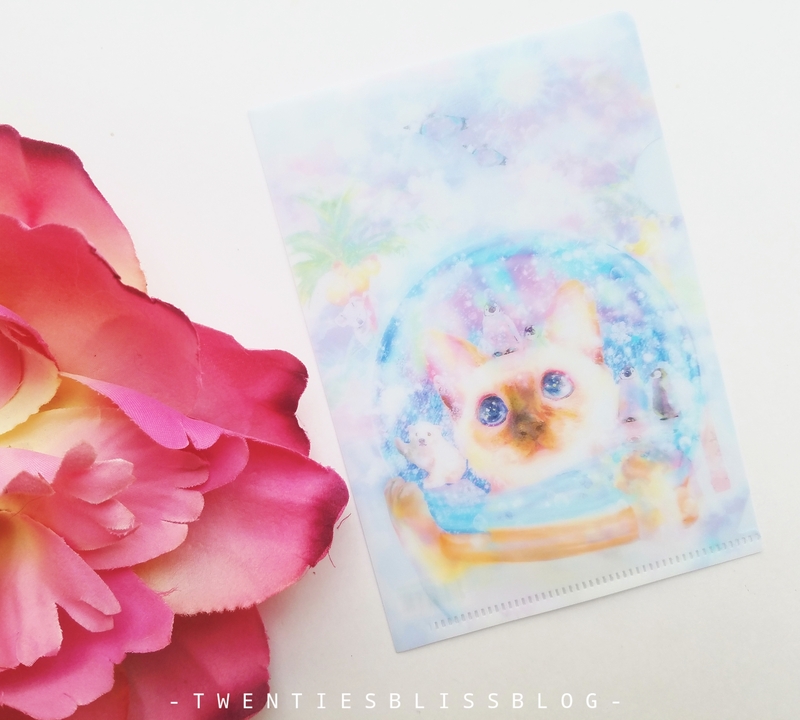 I loved how the little stickers are shining on the card, will look beautiful in my bullet journal for sure! 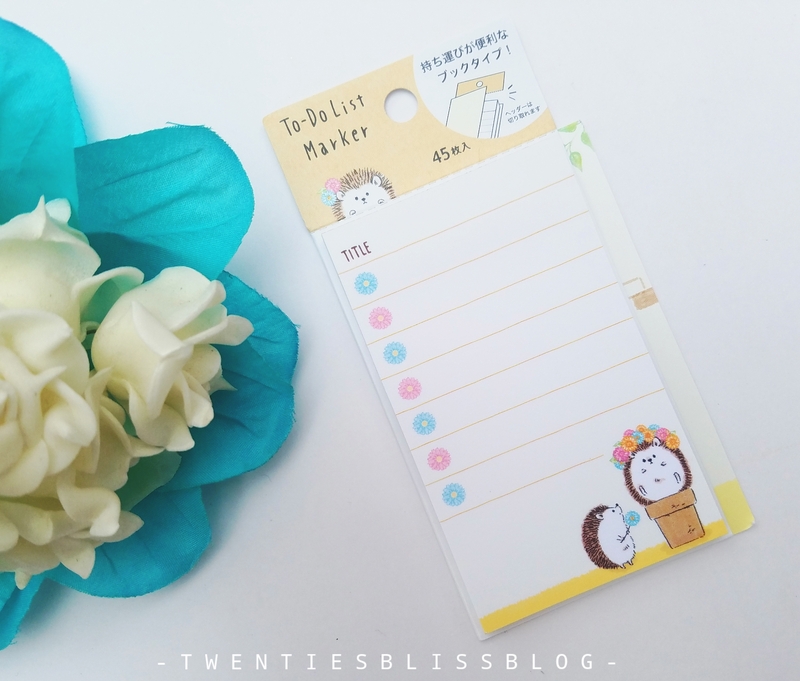 For a planning geek like me, to do list pads are something i always want on the go. Honestly, i can claim myself as the biggest to do list maker.🤣 Even when i am travelling i make sure that i got a pocket notebook with me. But i am now going to ditch my pocket size notebook for the sake of these travel friendly to do list pad. This is my most favourite item of this months pack. 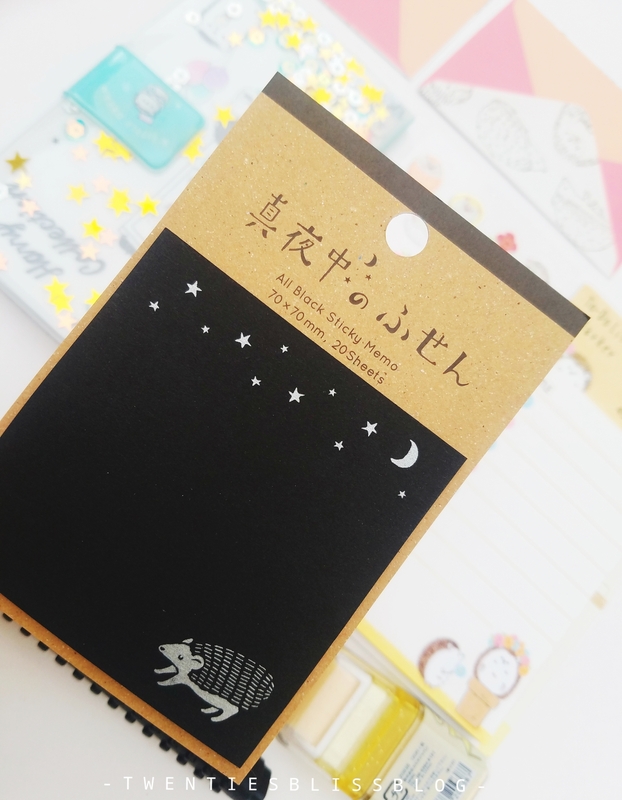 I am just obsessed, and i think this is the first black memo pad that i own and even that i ve seen so far. 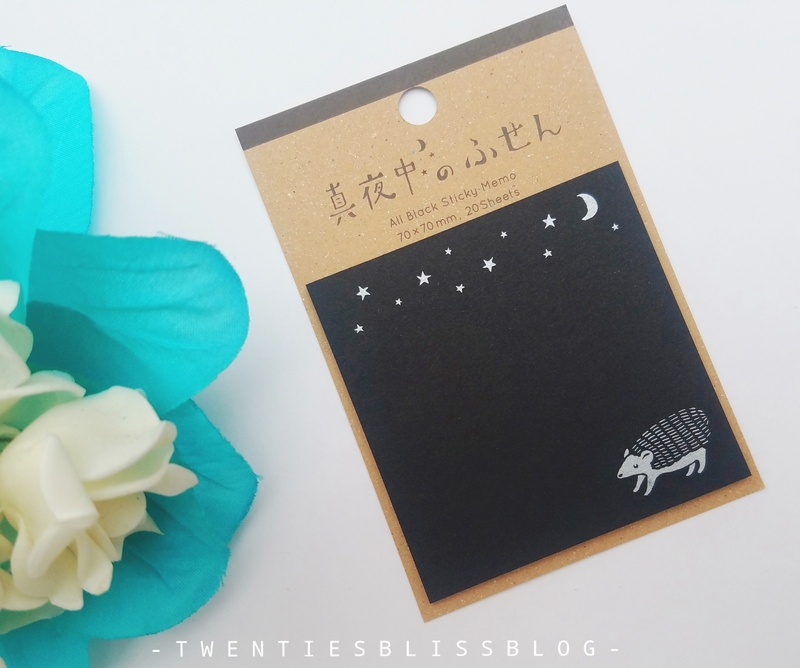 Little bunch of stars are adding such an aesthetic vibes to these sticky memo pad. I am so excited to use my sakura jelly roll on it. 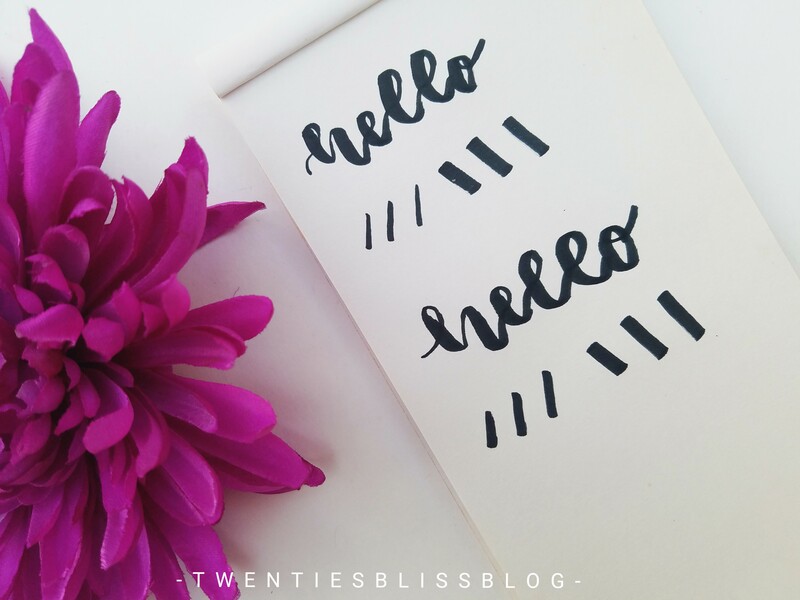 I always look forward to the letter sets in zenpop’s stationery pack as they added a variety and style always. 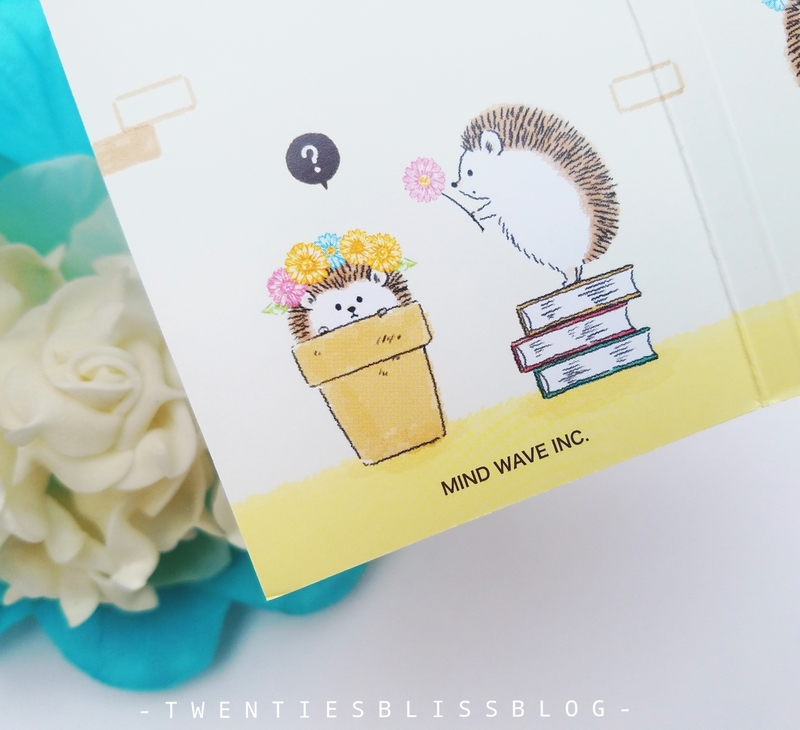 This time got this cute little hedgehog mini letter set which has four envelopes and letter papers. 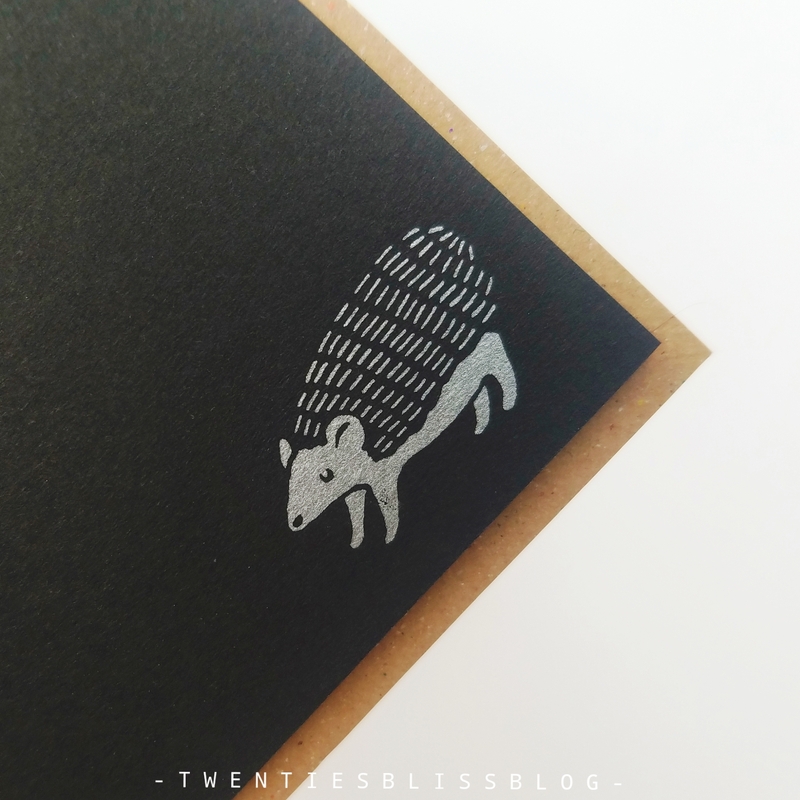 With mini hedgehogs printed on the surface. Yes, again! 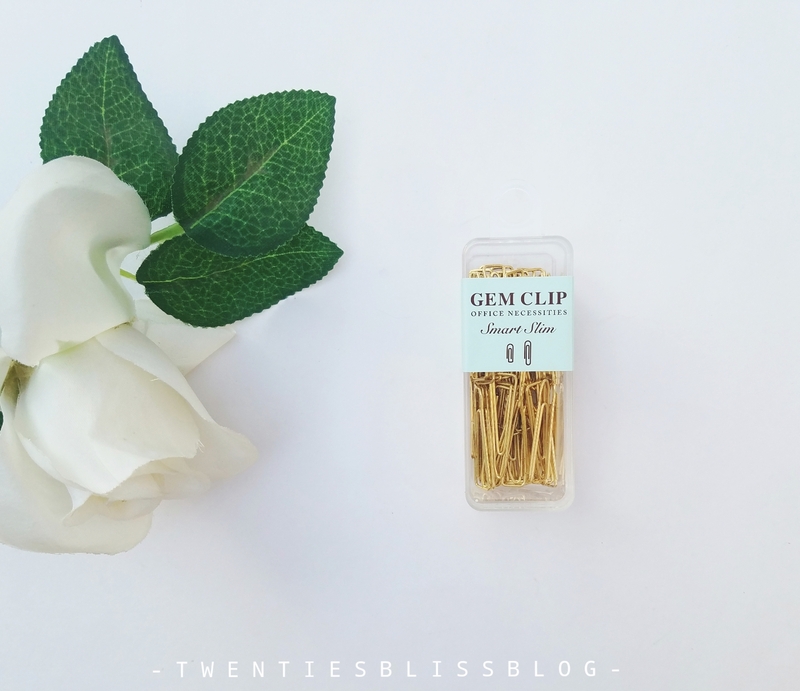 Zenpop added the most unique and fun paperclips this time. 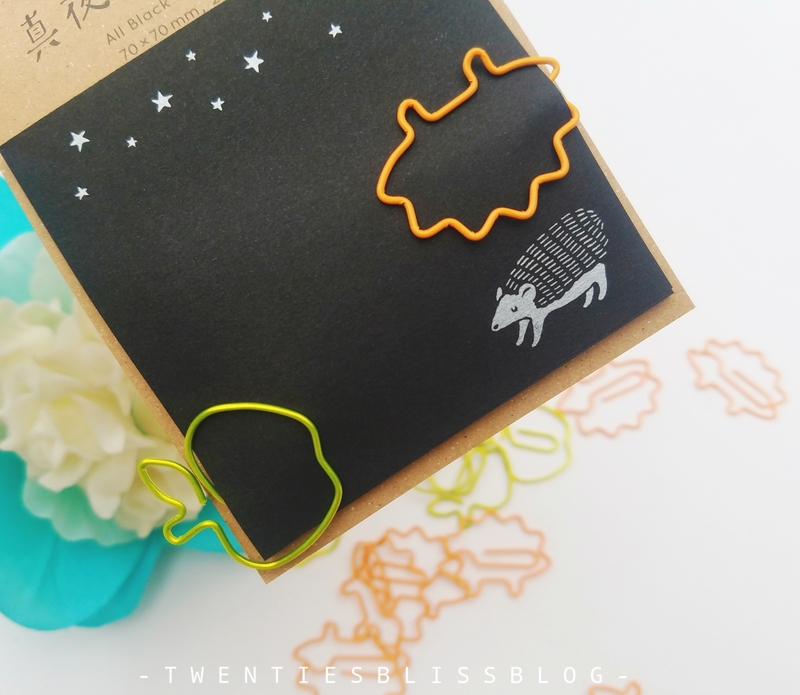 I loved the bunny paperclips in november pack but now even loving these hedgehog ones more. 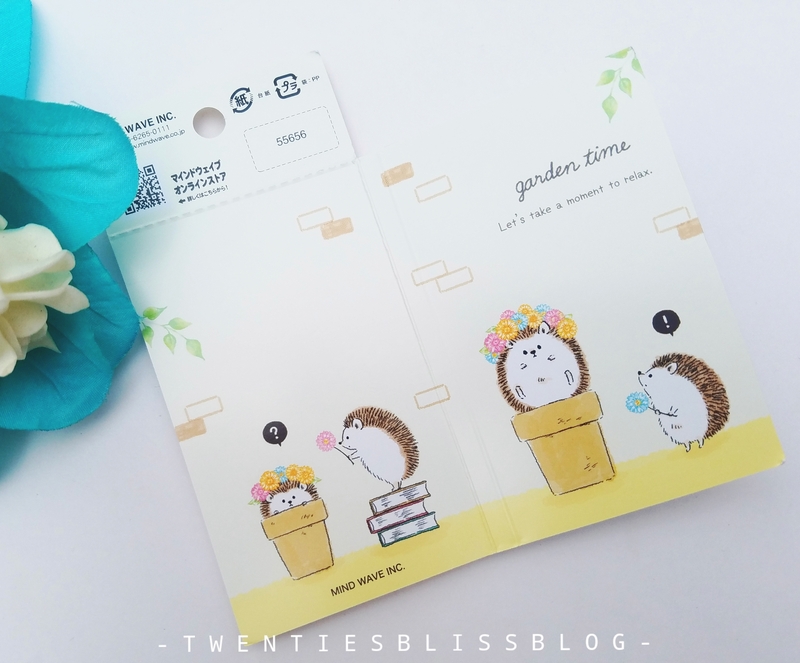 It has two designs in a pack that is hedgehog and apple. 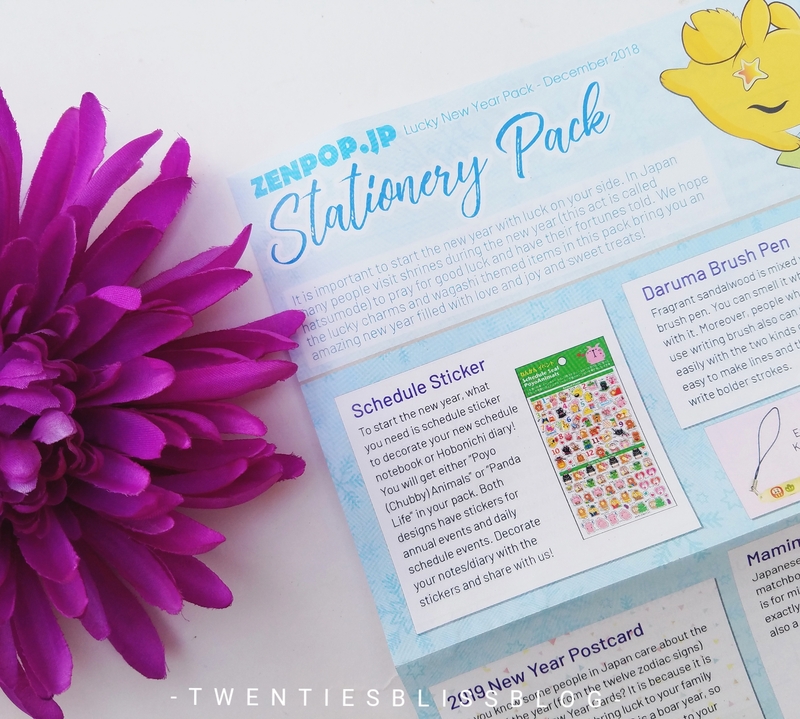 Each month in zenpop’s stationery pack there is always something new to discover. 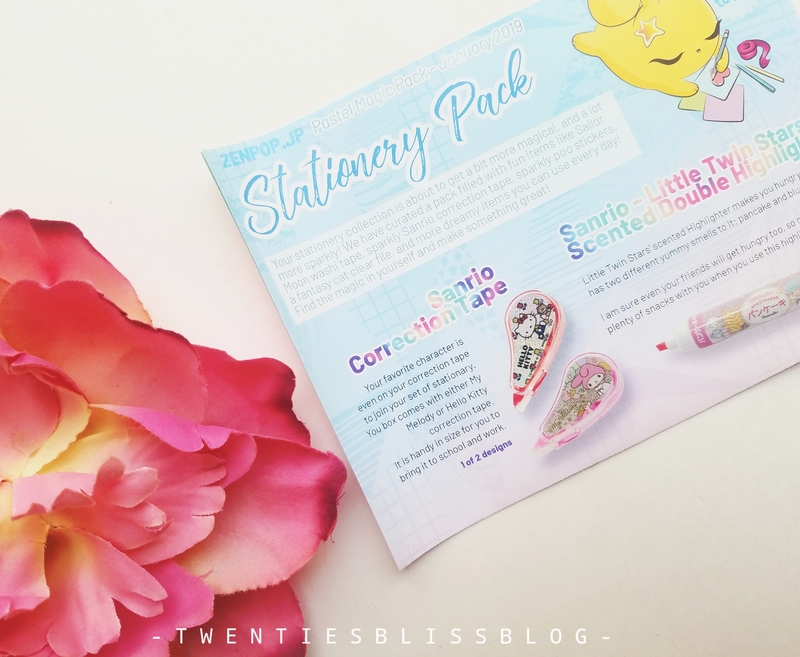 Despite being the stationery blogger, i always got to know something unique and it is the bliss of exploring new items each month. 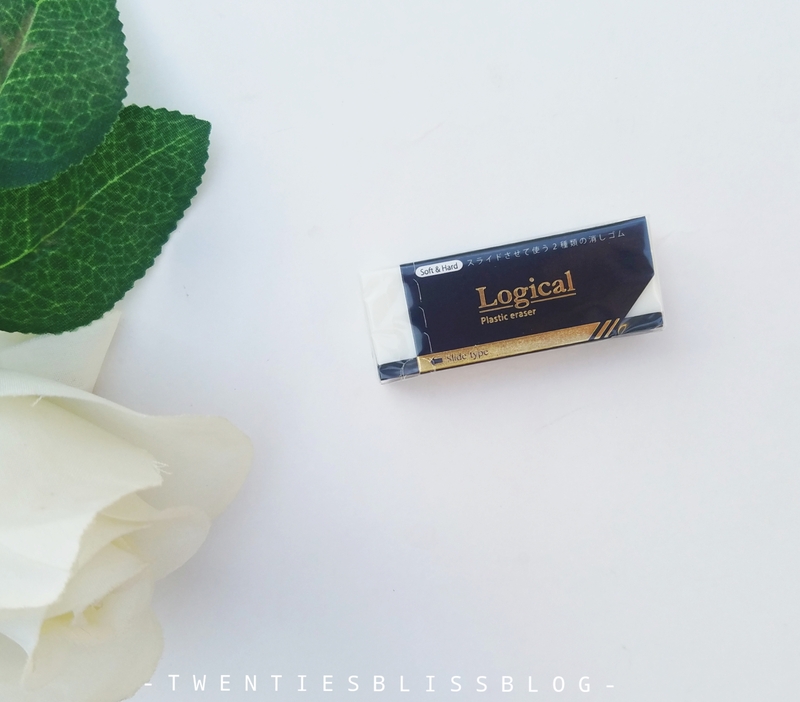 This rolling eraser can not easily erase your mistakes but also wipes away the mess it creates. 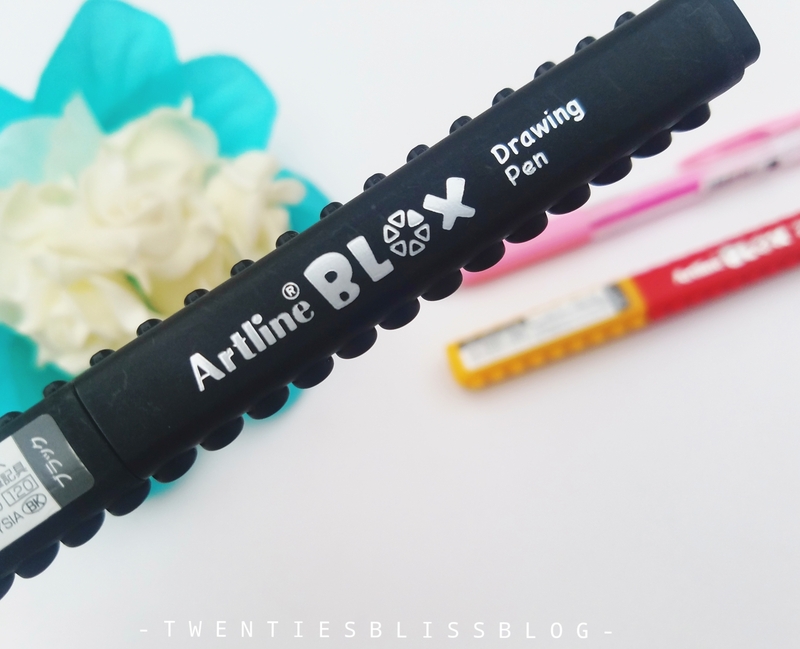 I m just in love with the snowman drawing pens, i will compare the artline blox as a dupe for snowman. It is just as perfect. The nib was rigid yet the drawing is smooth. 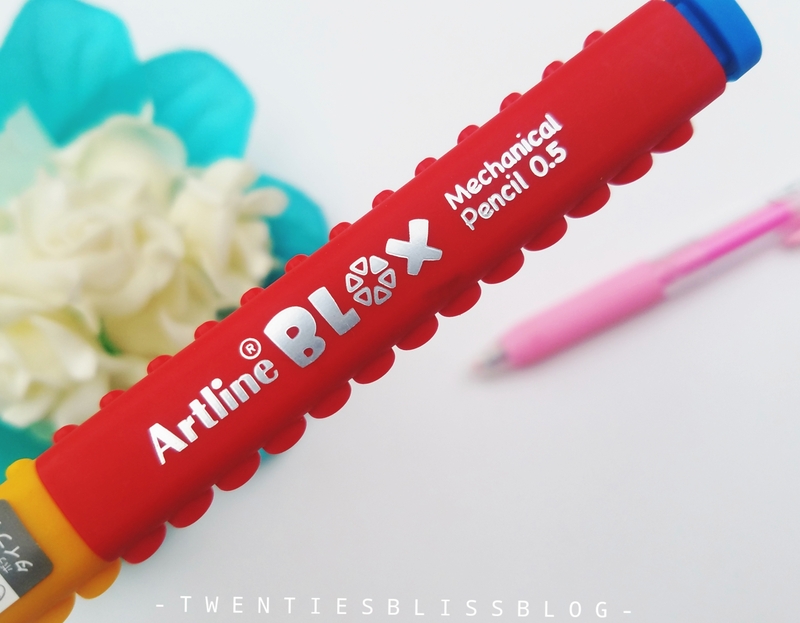 The packaging of the blox pens are remarkable. These pens are one of its kind. 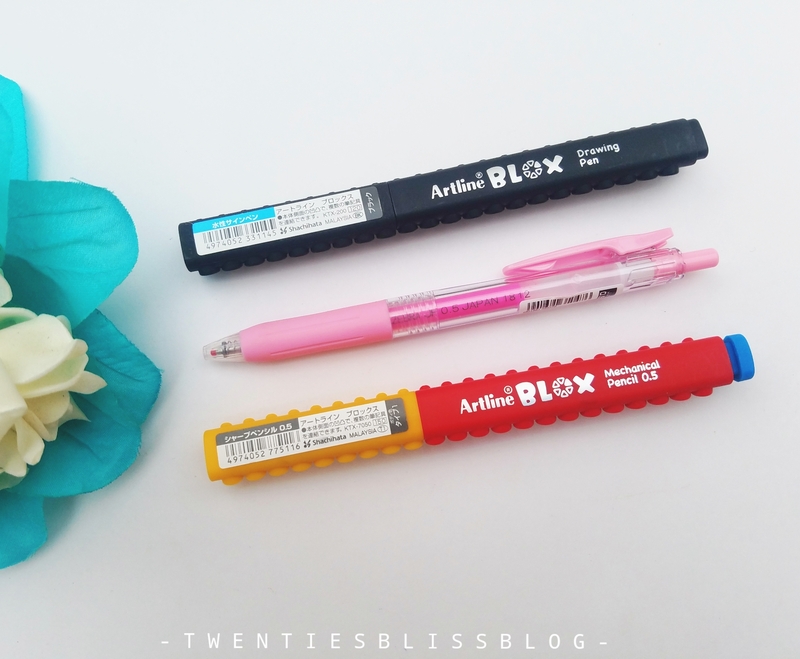 I also got artline blox mechanical pencil in yellow and red. The writing was way more smoother than any regular mechanical pencil. There is a quality! Gel pens are my favourite kind of pens. 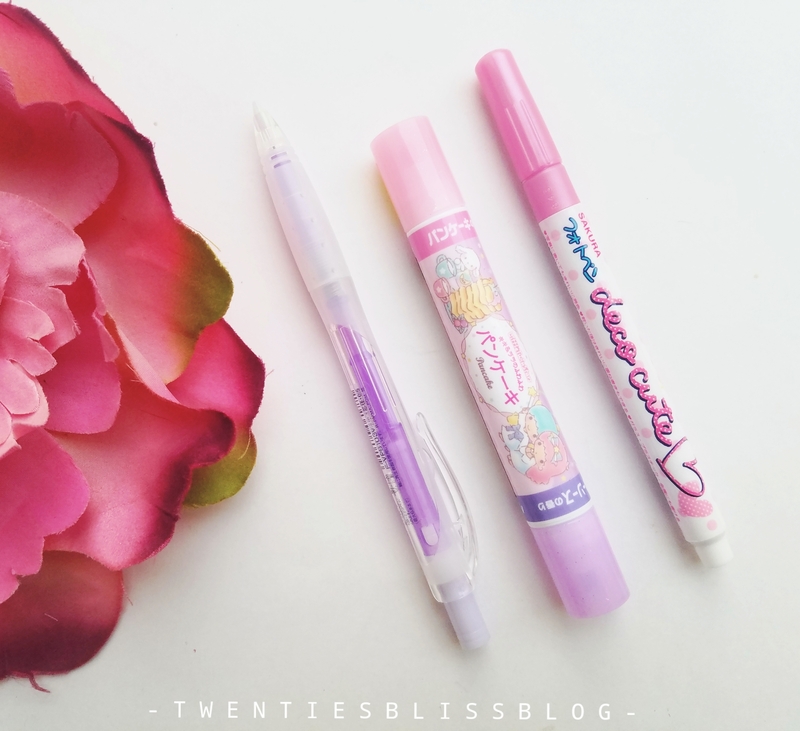 I got the zebra gel pen in baby pink colour. The ink is very pigmented and did not bleed at all. Totally loved it. 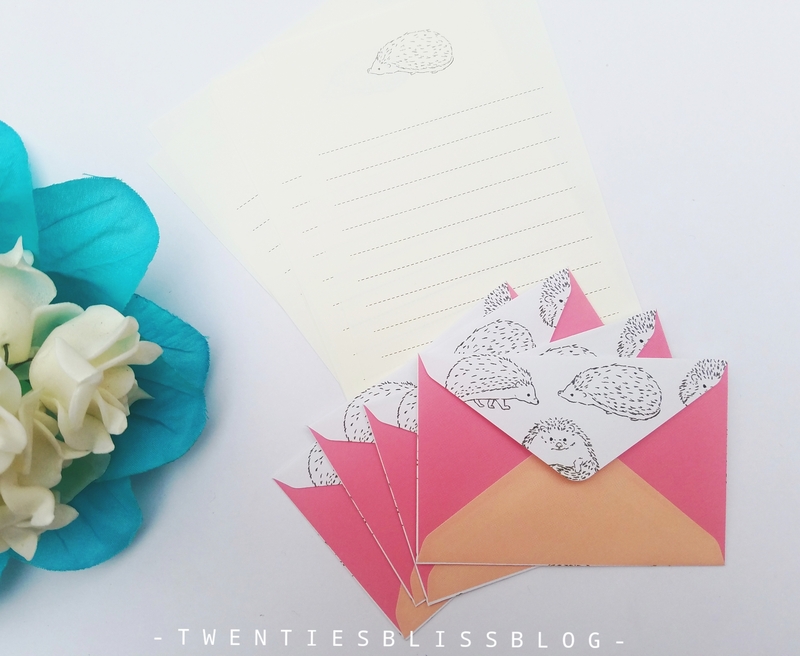 Interested in getting stationery that has an artist’s flair without the designer stationery prices? 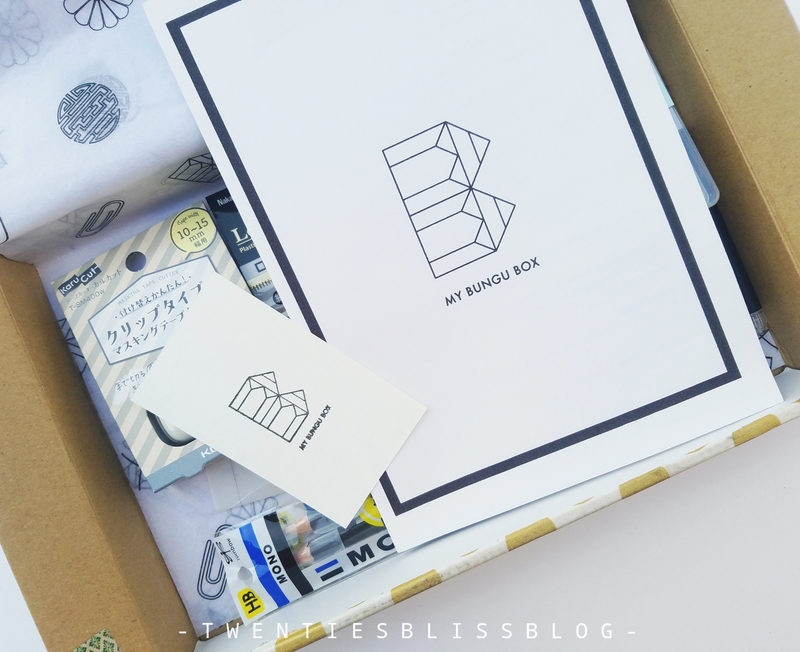 This box is in collaboration with designer and crafter ViVi from Misato. Keep Reading! 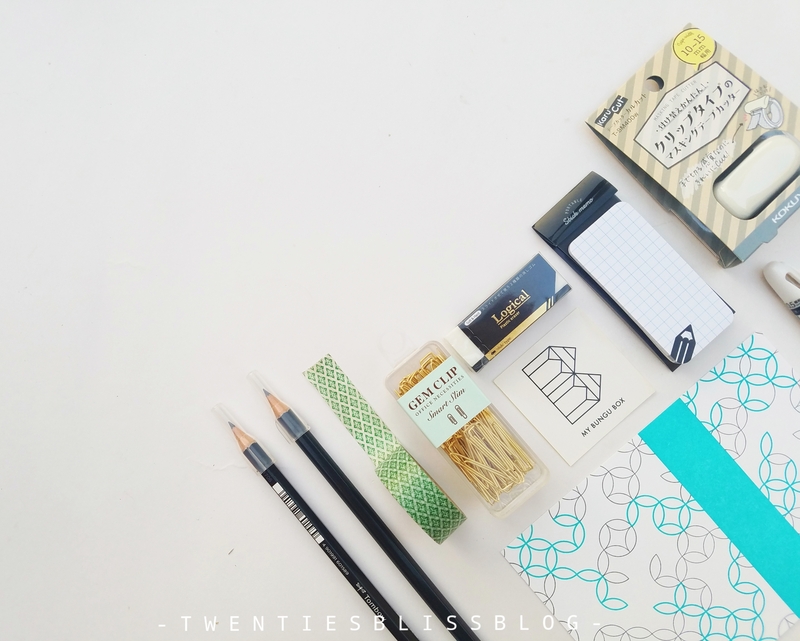 My Bungu Box started by a Tokyo-based Scot obsessed with good design, geometric patterns and collecting great stationery products. 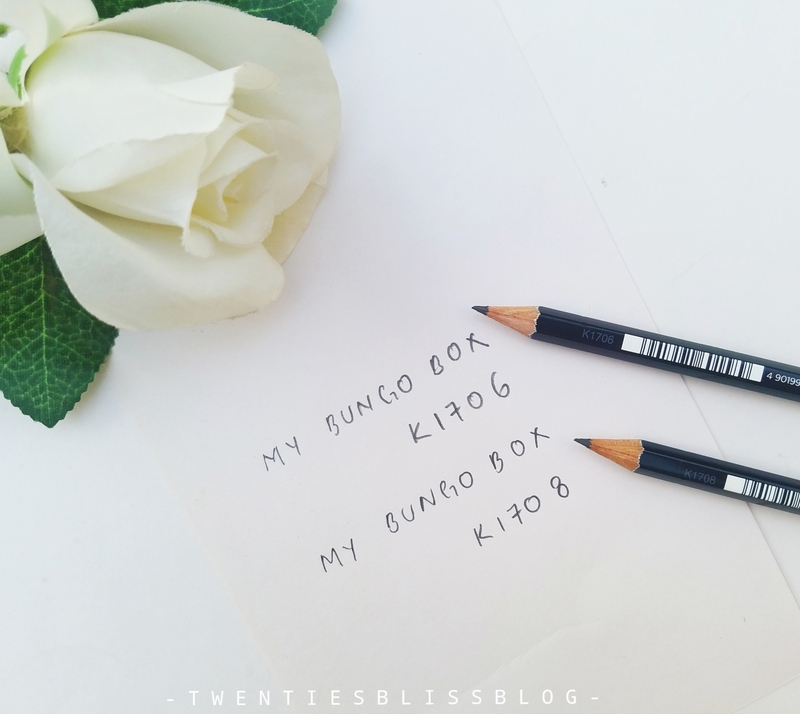 The Bungo Boxes contain Kuv’s (Curator) personal recommendation of stationery products. Some of the boxes contain an element of collaboration with some fantastically talented, Japan-related artists and designers. 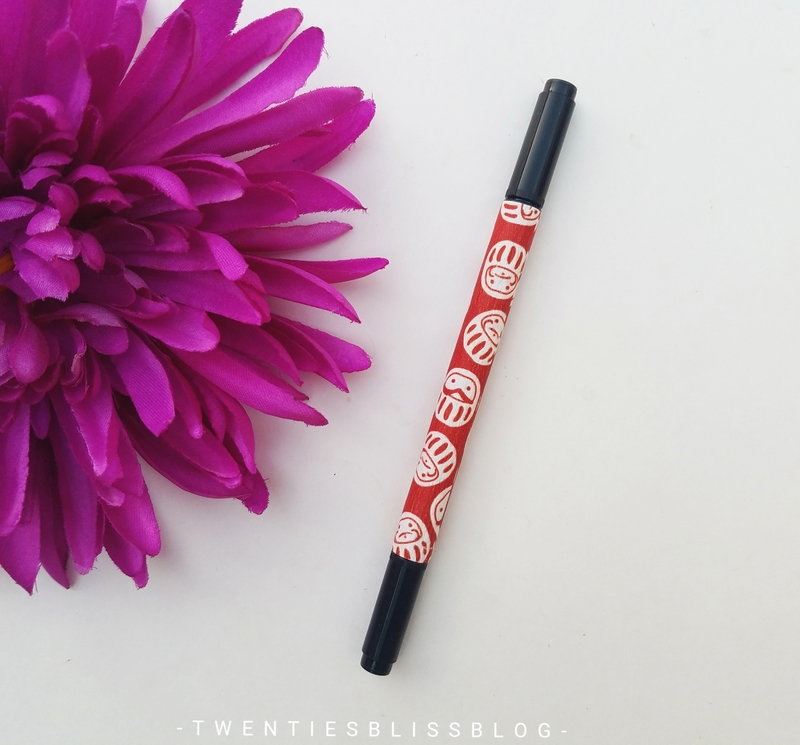 My Bungu Box contains a selection of some of the best Japanese stationery, from erasable pens to beautifully patterned washi tape, every box is a surprise! 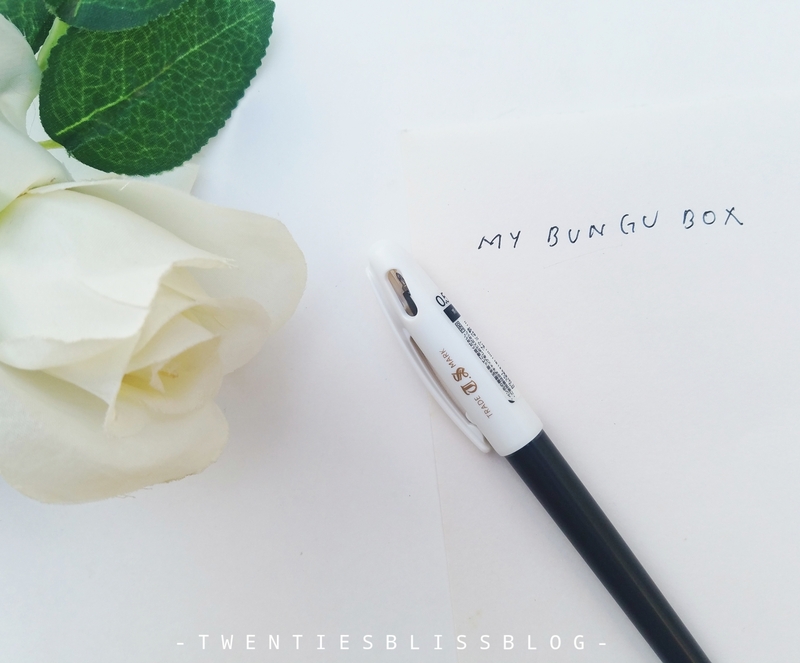 I have a lot to say about the bungu box, but we ll look into each item one by one. So lets start with the packaging followed by the contents of the box. When it comes to subscription boxes, the packaging is equally important as the contents of the box. 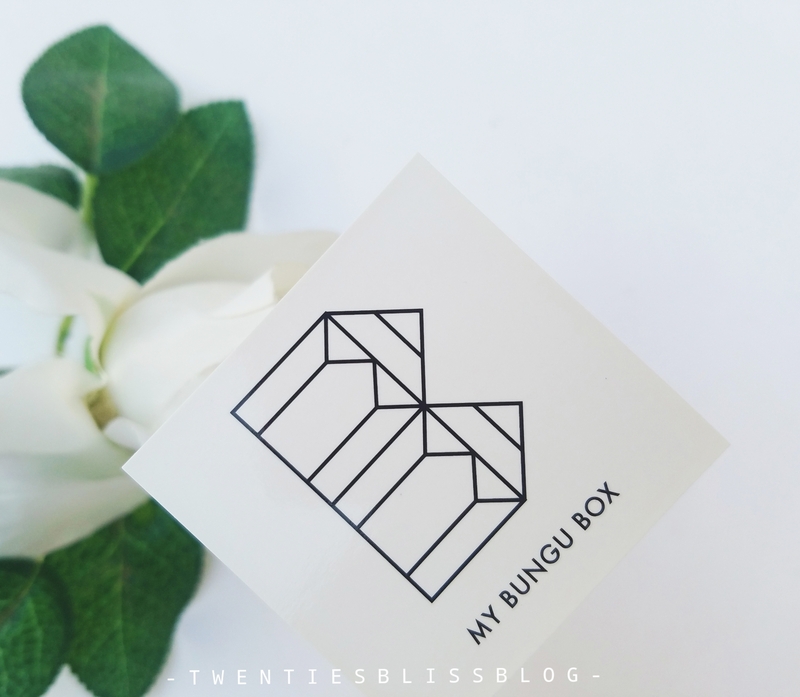 I had high expectations and my bungu box did not disappoint me. I just loved the way it came in a sleek cardboard packaging, as soon as you opened it, it has this beautiful printed tissue paper, with the content card and some stickers on it. The packaging was simple yet very impressive. 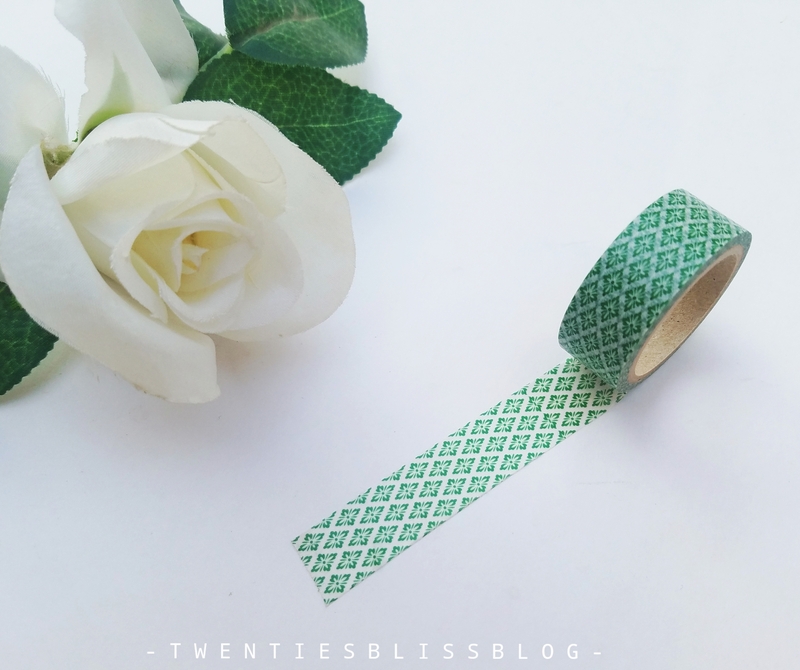 Every stationery lover can relate that we cannot have enough washi tapes in our collection. 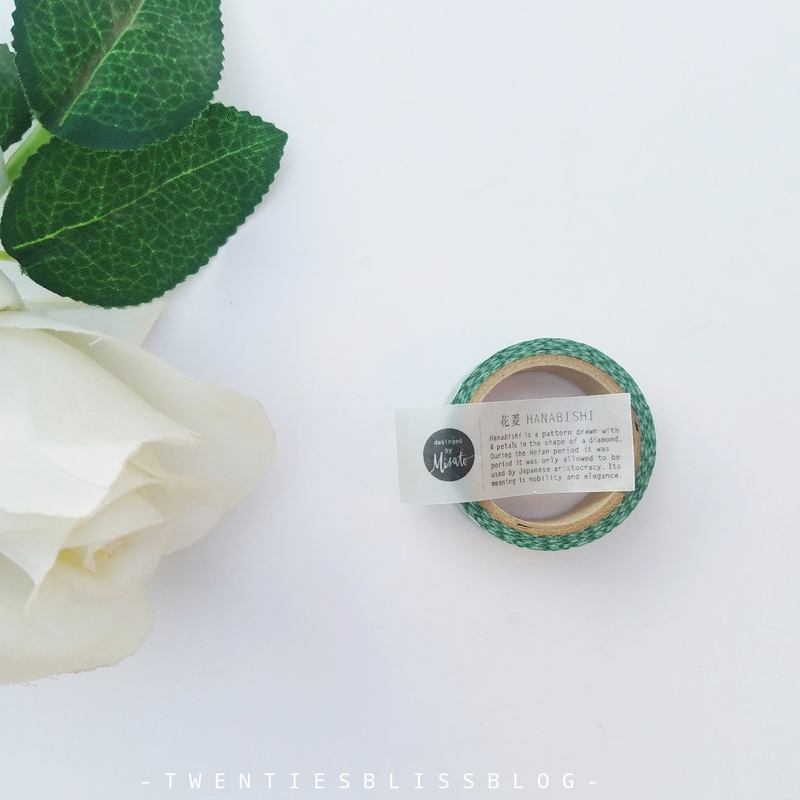 No doubt, none of any subscription boxes are complete without a washi in it. 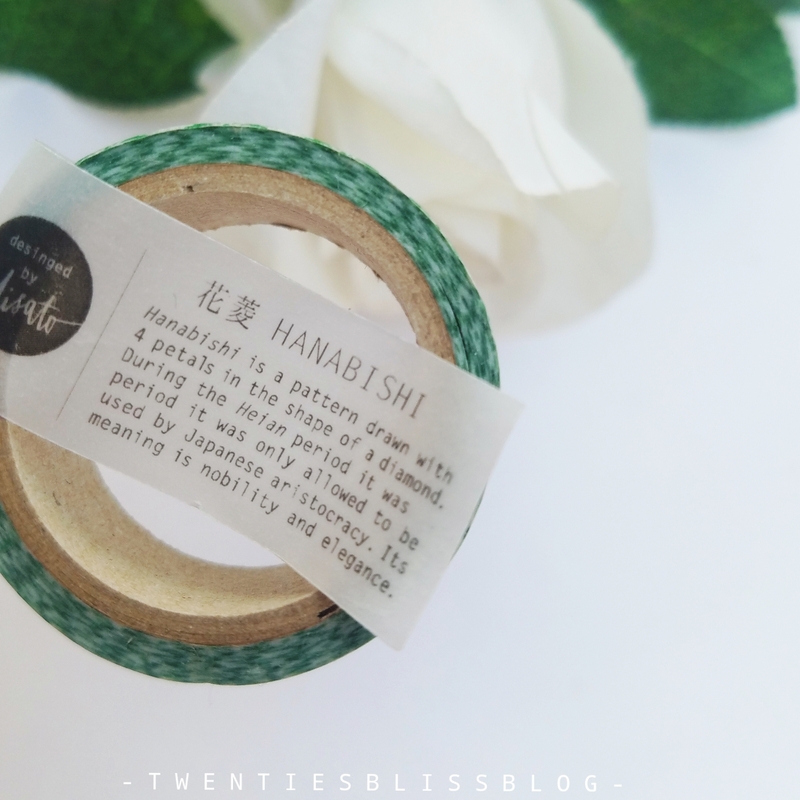 My bungu box contained hanabishi washi tape. 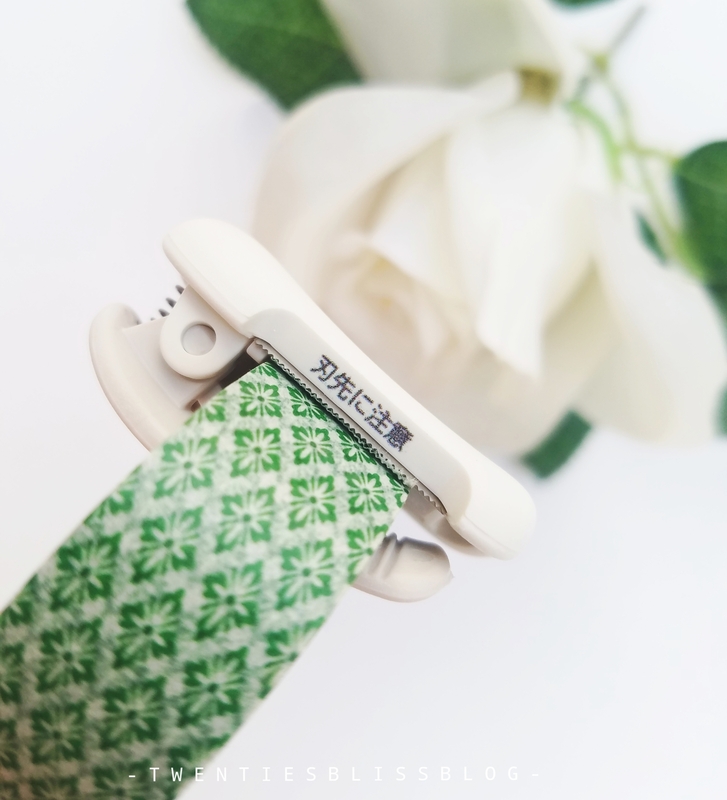 Hanabishi is basically a japanese traditional pattern. 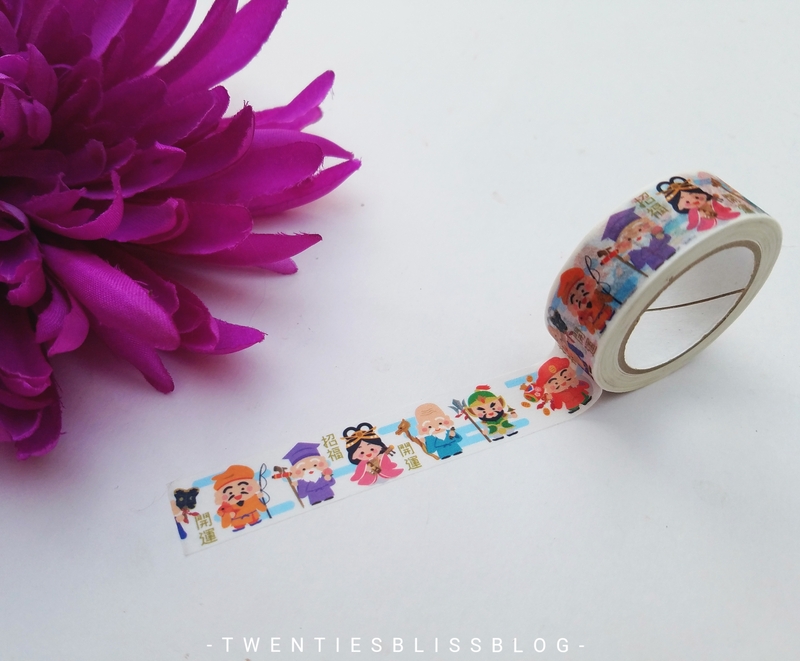 This is one of its kind of a washi tape. The moment i call japan in my mind it reminds me of kimonos, by watching all these japanese movies and documentaries. 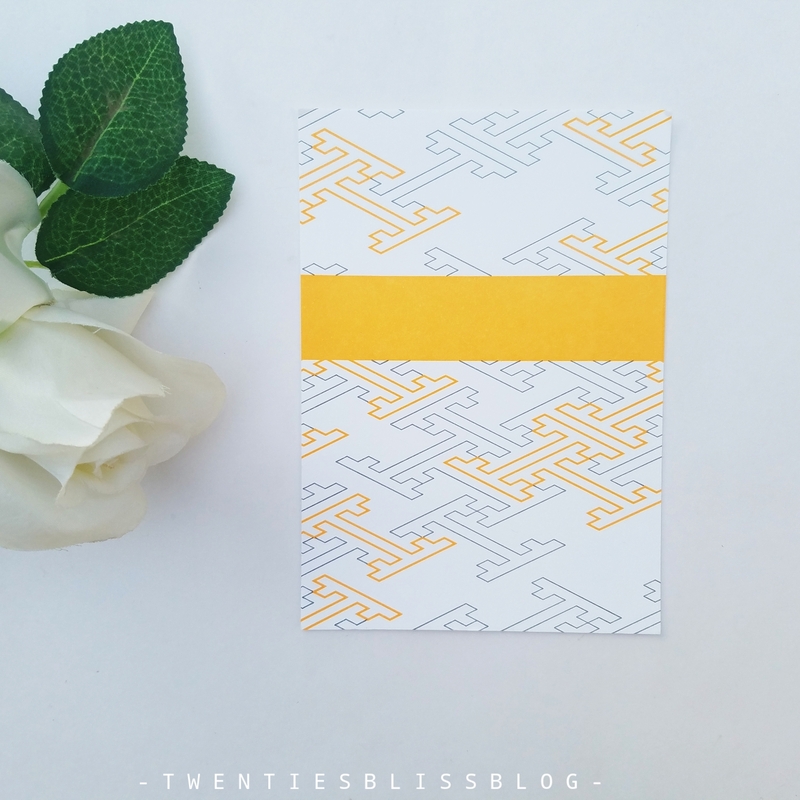 Few letter cards have been added in the box which once again represent the traditional japanese pattern. This is by far my most favourite item in the box. 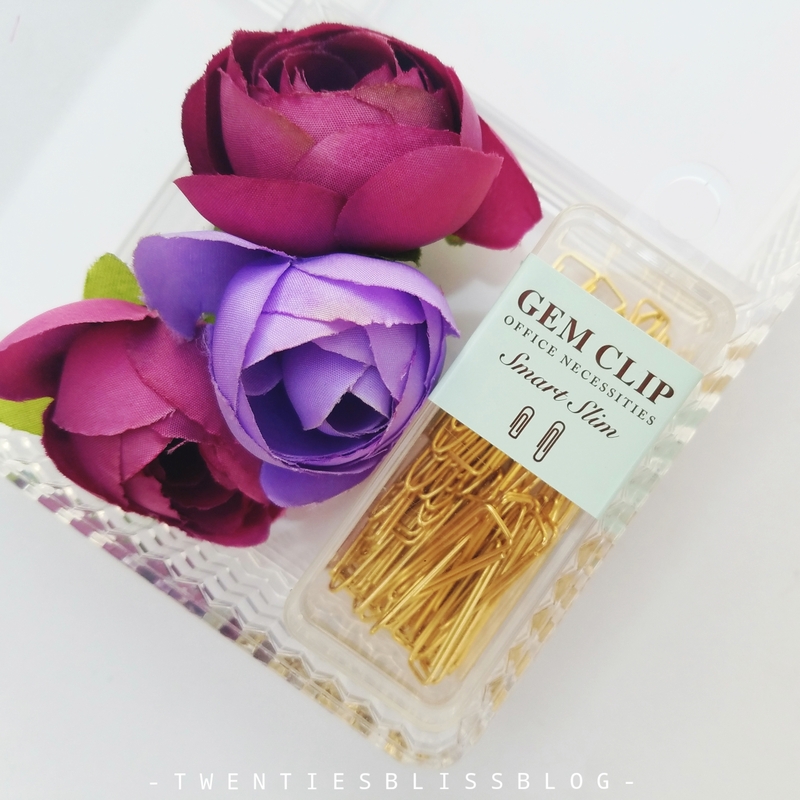 These paperclips are so aesthetic and classy that i can stare these all day long. 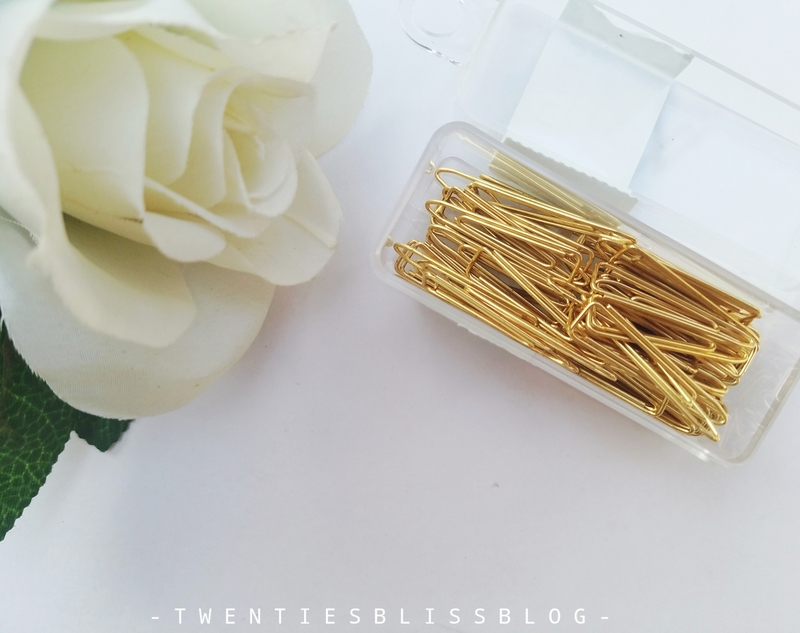 The shape and the classic gold colour makes an ordinary paperclip more classy and sleek. The shape is not so common, resembled a little bit with the pattern on kimono cards. 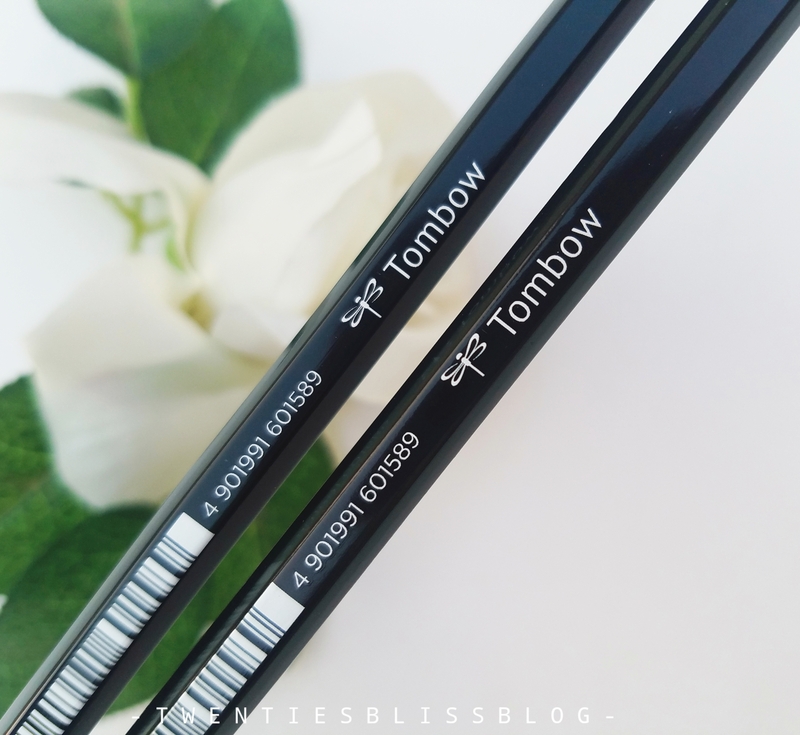 Who doesnt heard of tombow dual pens? Its on my wishlist and want to get my hands on it. 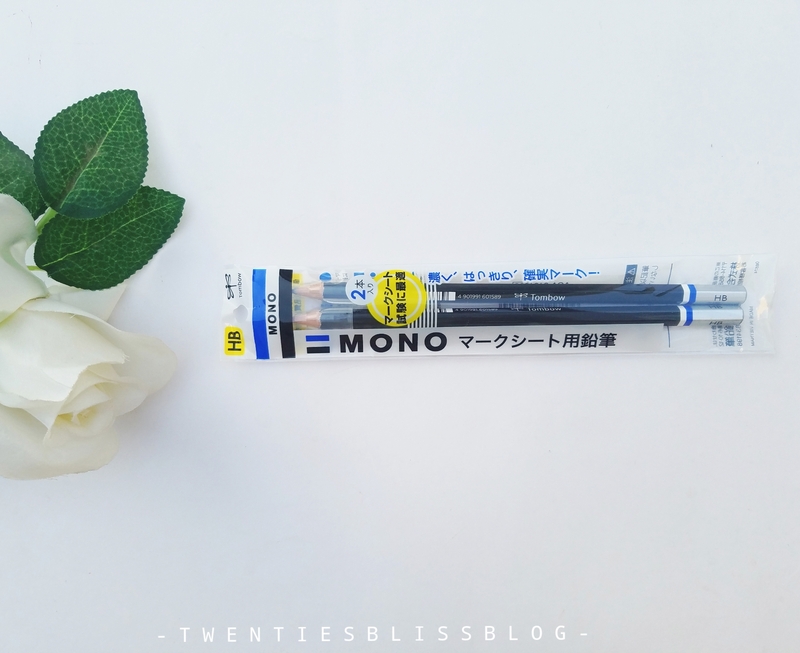 Meanwhile i got a grip on tombow HB Mono Pencils. Thanks to kuv for adding these in a box. 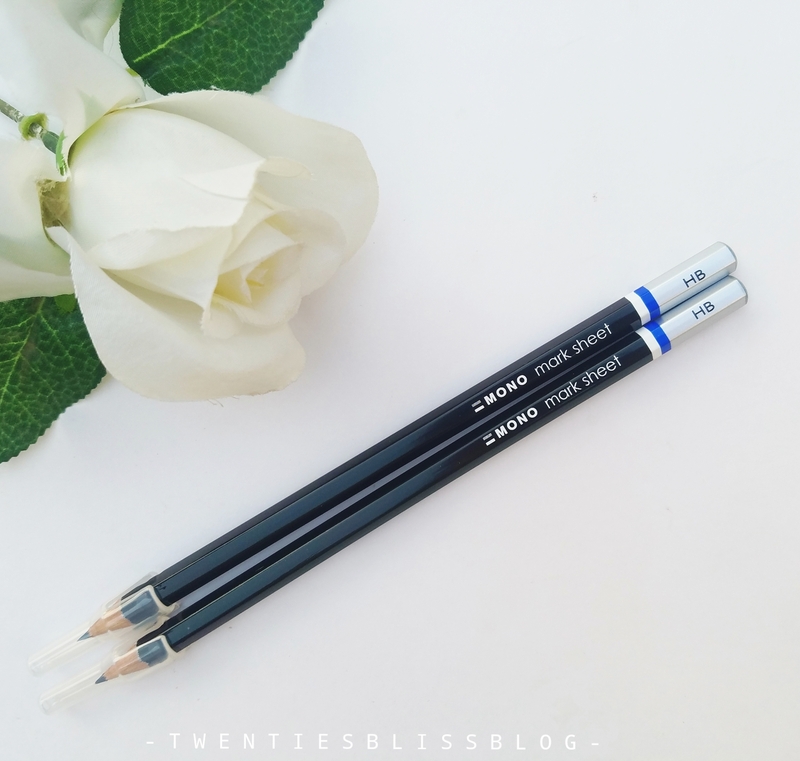 A pack of 2 pencils have been added for drafting notes. I personally love anything that has a grid pattern on it. Especially when it comes to stationery. 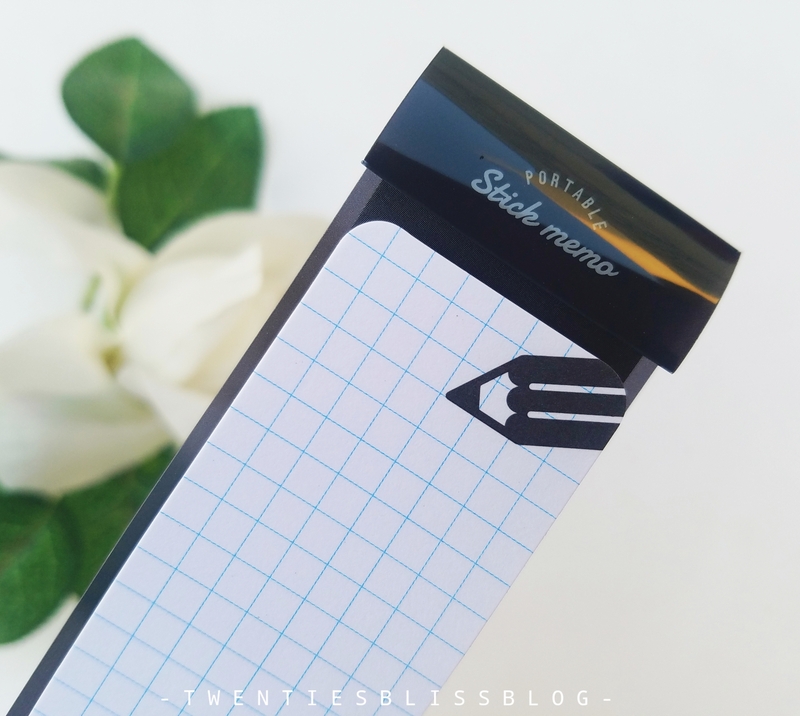 A really pretty sticky memo with a grid on it has been added. I think this is by far the most classy sticky memo i have in my collection. 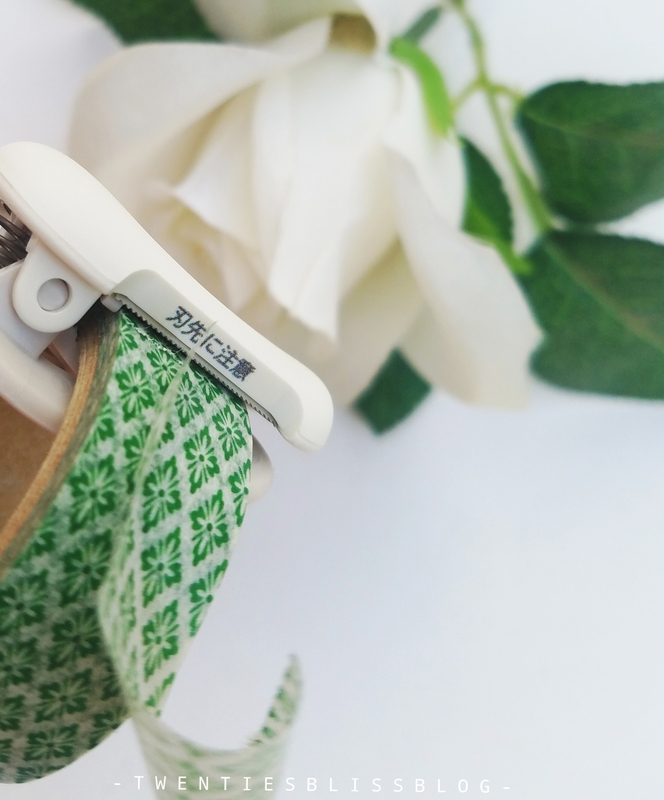 Honestly speaking, i did not know that a washi tape cutter existed even. Until i got my hands on my bungu box. 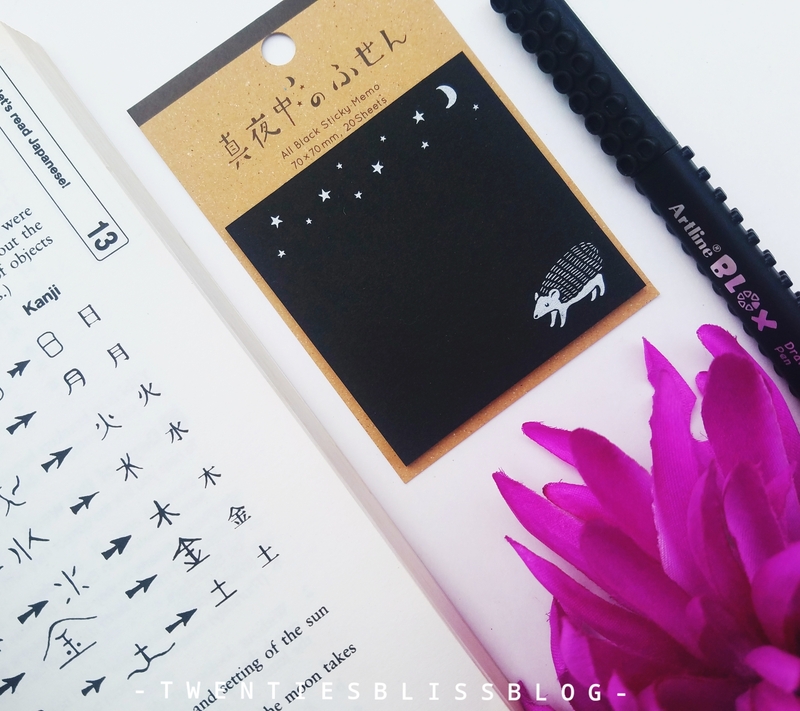 Japanese stationery never fails to surprise us with its creative ideas. 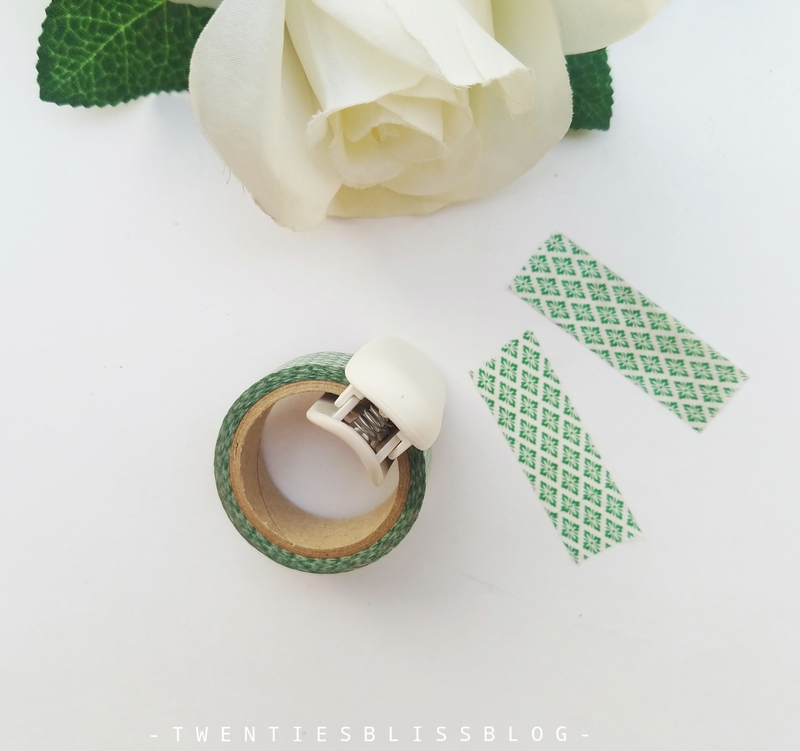 I have 500+ washi tapes but never a washi cutter. 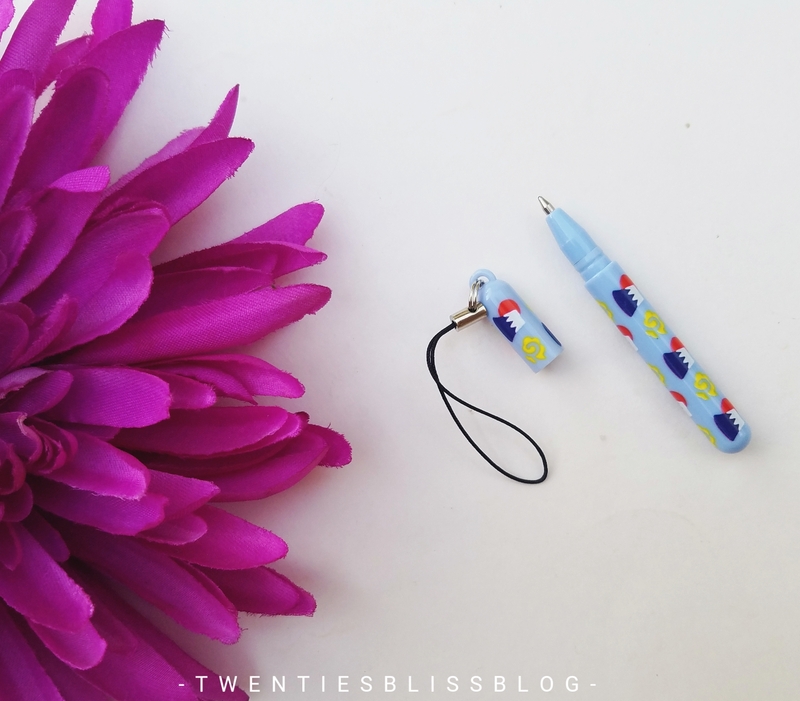 This little cutter is so useful yet very easy to carry in your pencil case. This is definitely more lovable by me than my washis. 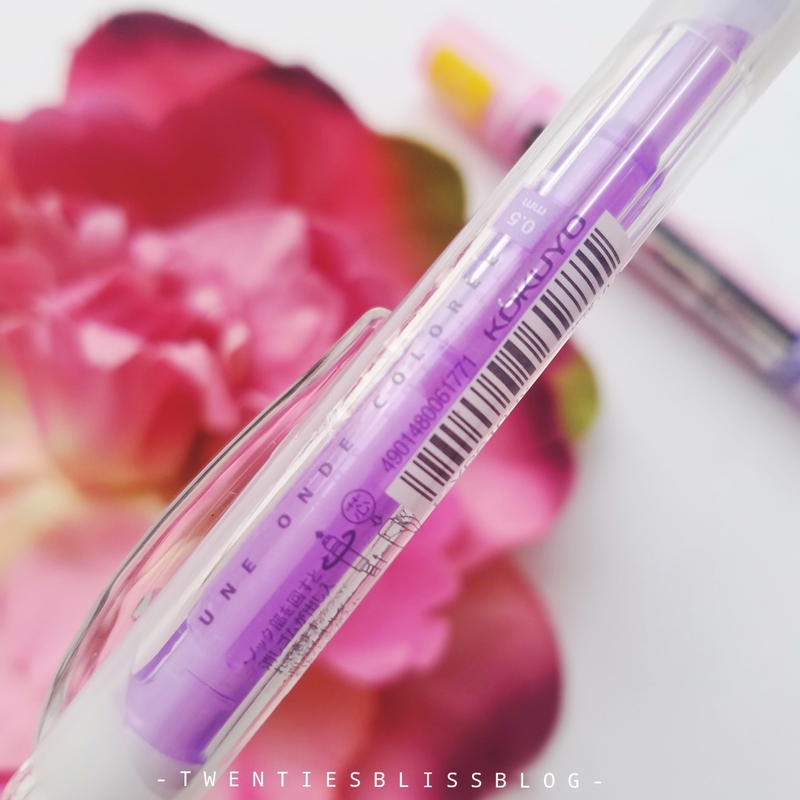 According to the people at my bungu box , this pen is limited edition as it was a collaboration between a well know brand pentel and one of the largest japanese stationery suppliers MDS , and it cannot be available outside asia. 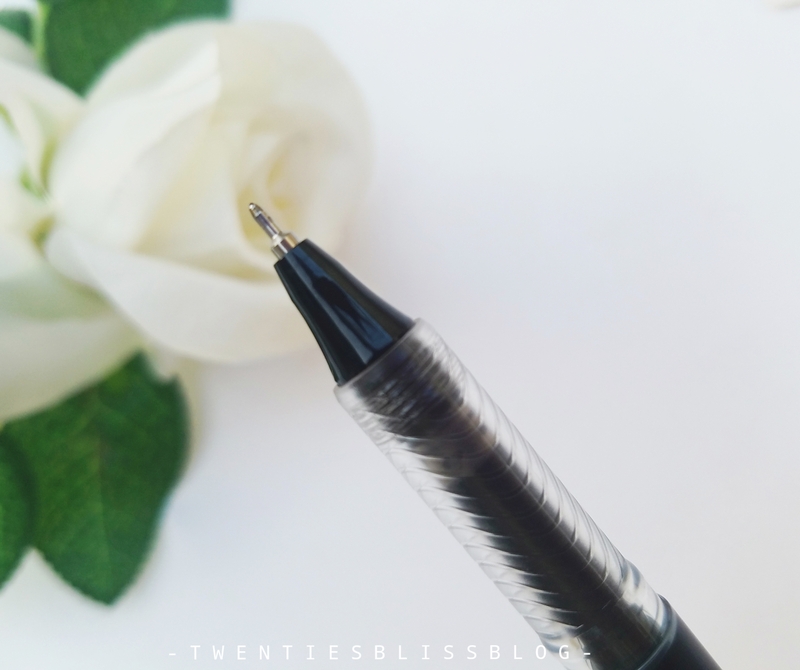 The pen is super smooth in writing glides on really well on almost every kind of paper. 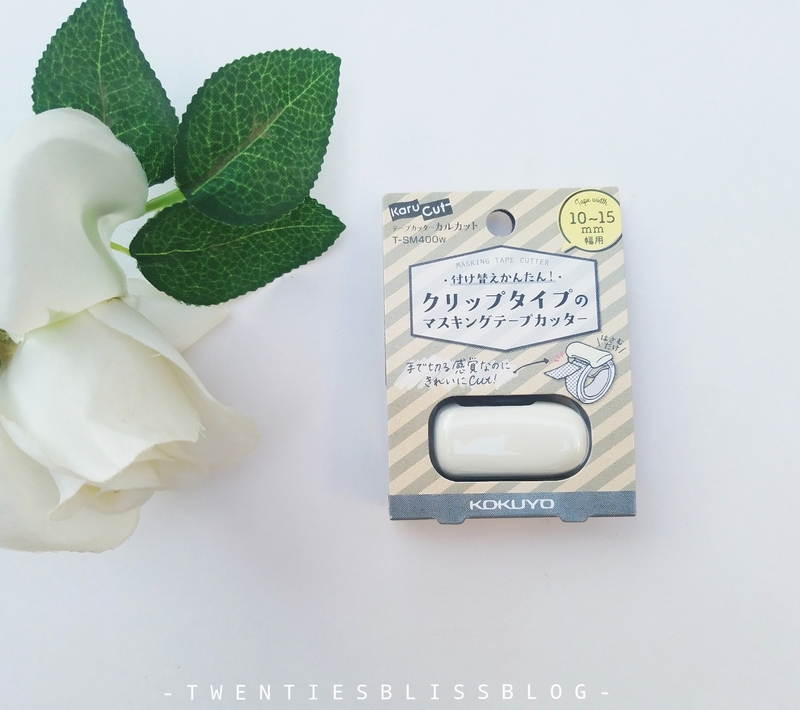 Just like many other items in the box , last but not the least, this logical plastic eraser by nakabayashi has two sides to it that is soft and hard, to remove dark and heavy pencil marks. 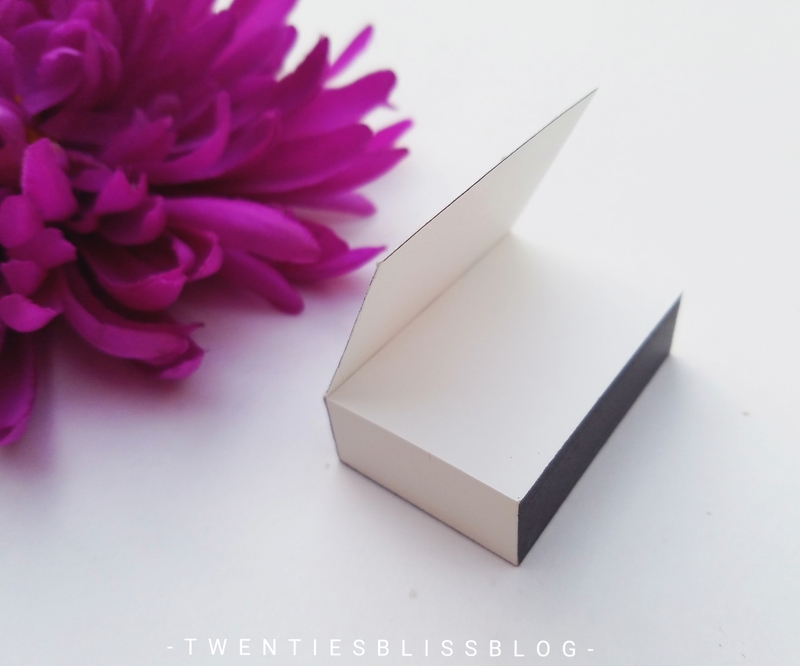 If you want to get your hands on the classic, unique stationery, and want to discover unique items every month than this box is a must have for you. 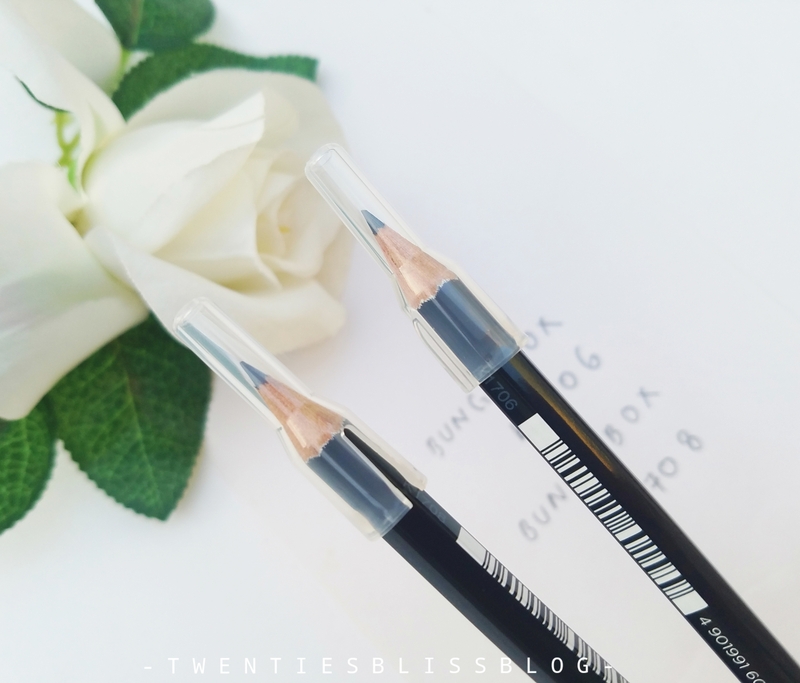 I will 100% recommend this to every stationery lover. 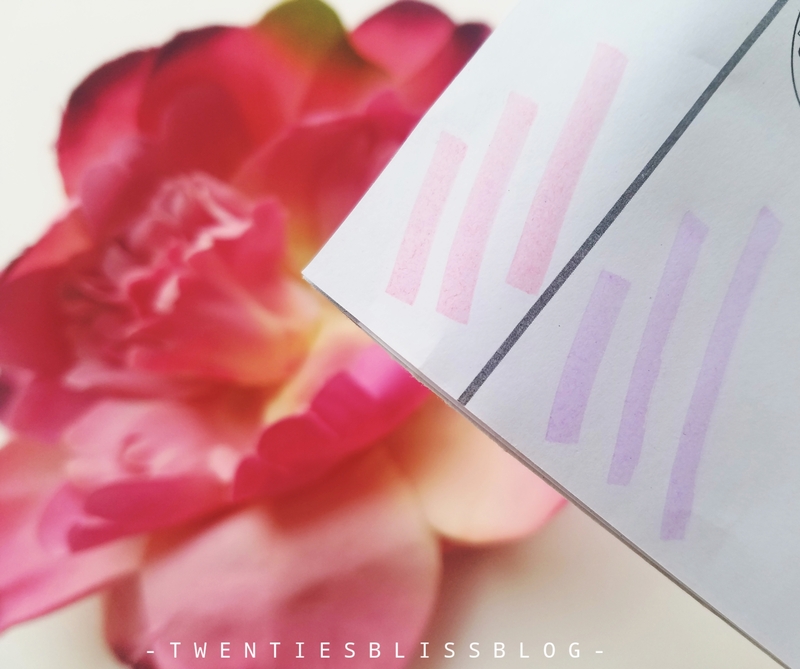 Hi, Just as you can tell by the logo of my blog, how much i am obsessed with pastels. 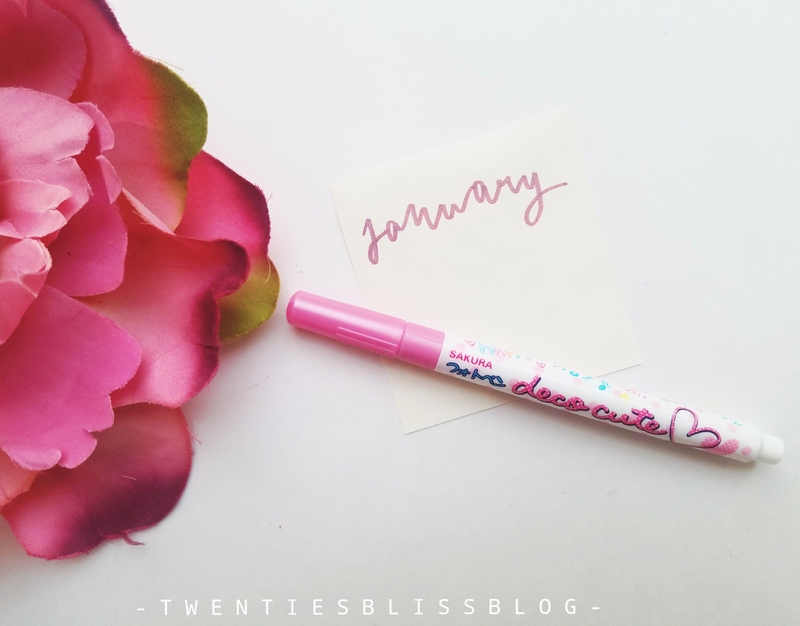 It was a bliss knowing that zenpop january stationery pack theme is all about pastels. Keep Reading! I havent imagined ever that a poo inspired thing can be my favourite. 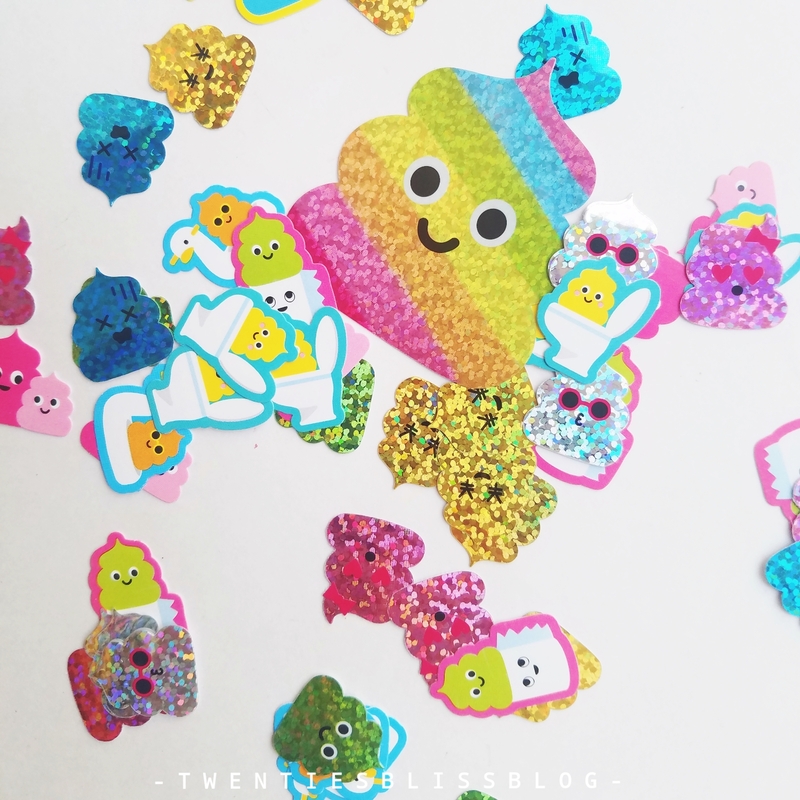 These poo shaped glitter stickers are not only the cutest stickers but they actually smelled like peaches or fruits. 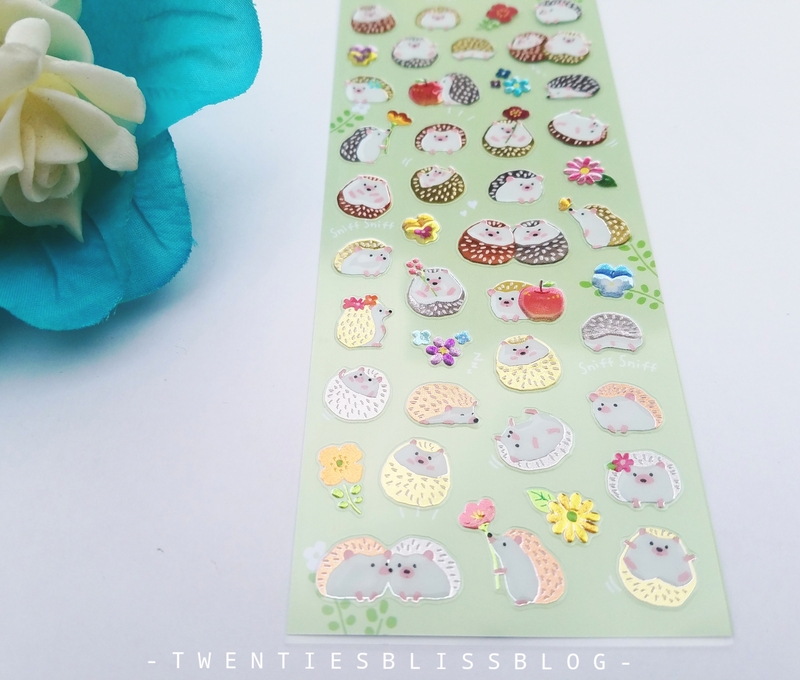 At one glance to these stickers , i knew i will be creating a bullet journal spread with these for sure. Everyone is familiar with sailor moon, as it is one of the most popular anime in the world. 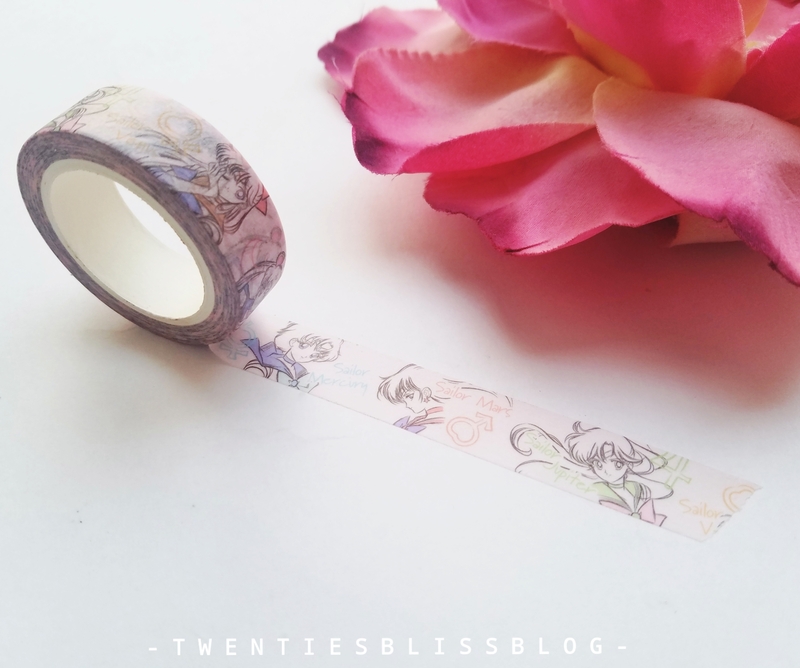 As it has completed its 25 years, this month zenpop has included sailor moon washi tape in the box. 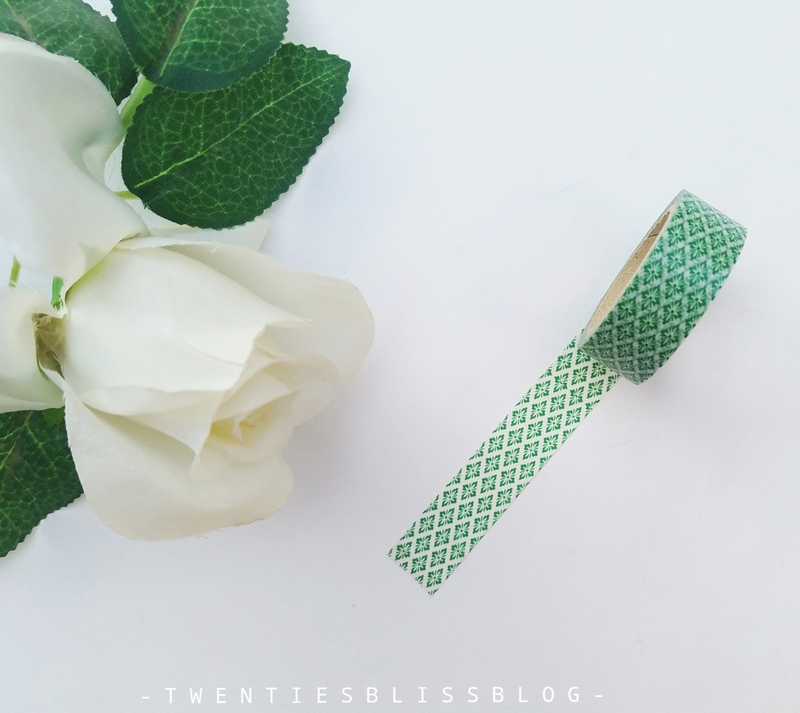 A stationery lover cannot have enough washi tapes. 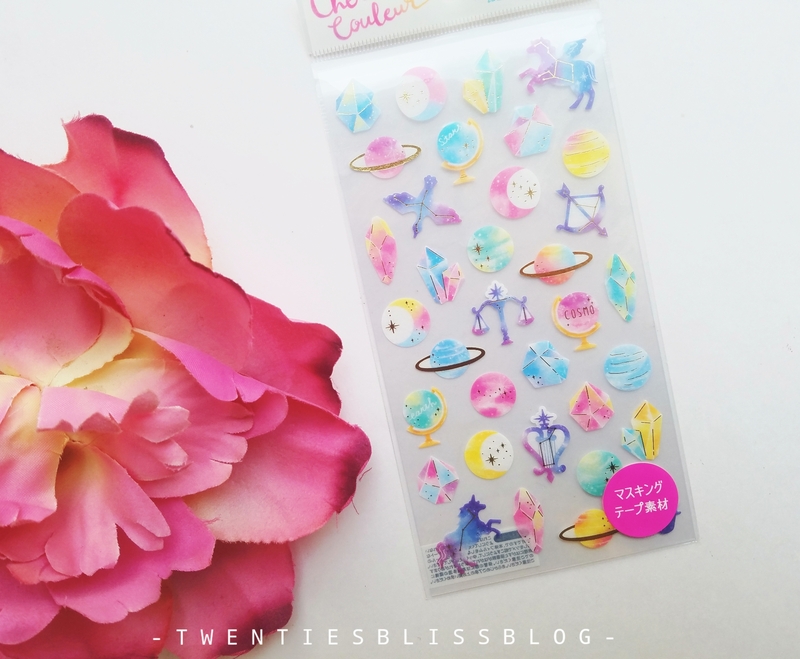 And I loved anything with a sailor moon on it. And it is a little new edition in my collection. This is my most favourite item in the box this month. 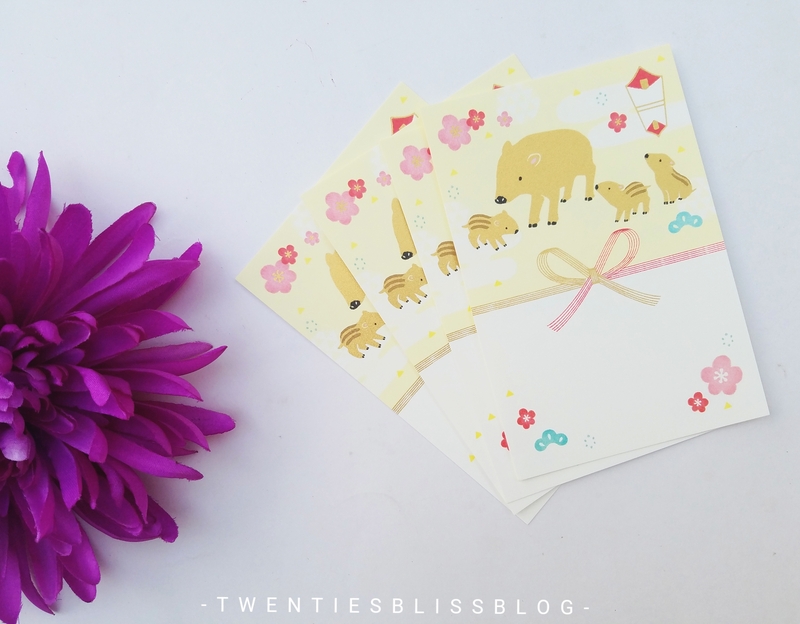 Such delicate sticker sheets with pink and pastels colour theme , foiled with gold on the edges are everything. 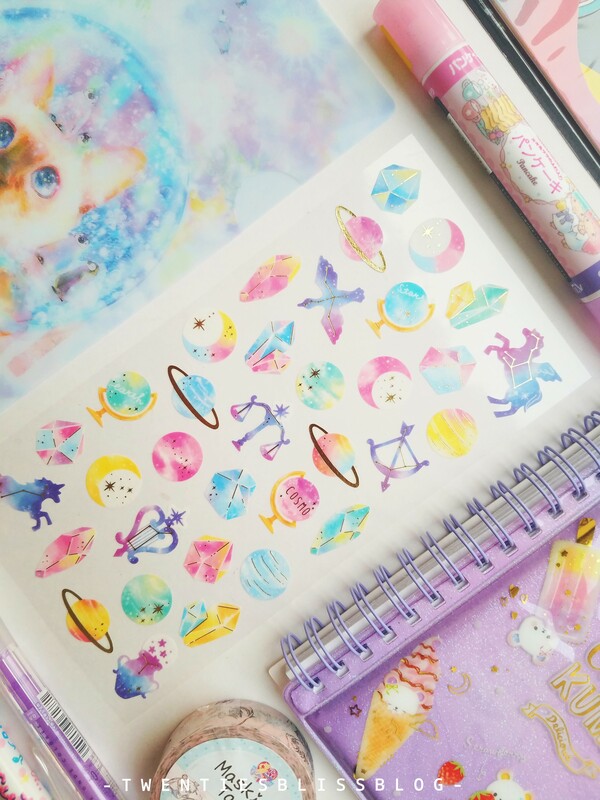 Cute lille unicorn are giving me some major goals to create a galaxy inspired spread with it. I have 500+ notebooks literally, but this is the only one of its kind. I am glad that i have something unique in my collection. This is not your ordinary notebook but a place to collect your stickers, or everything you love. I use it to collect my washis just to swatch some. So that i know which designs i have at the moment. 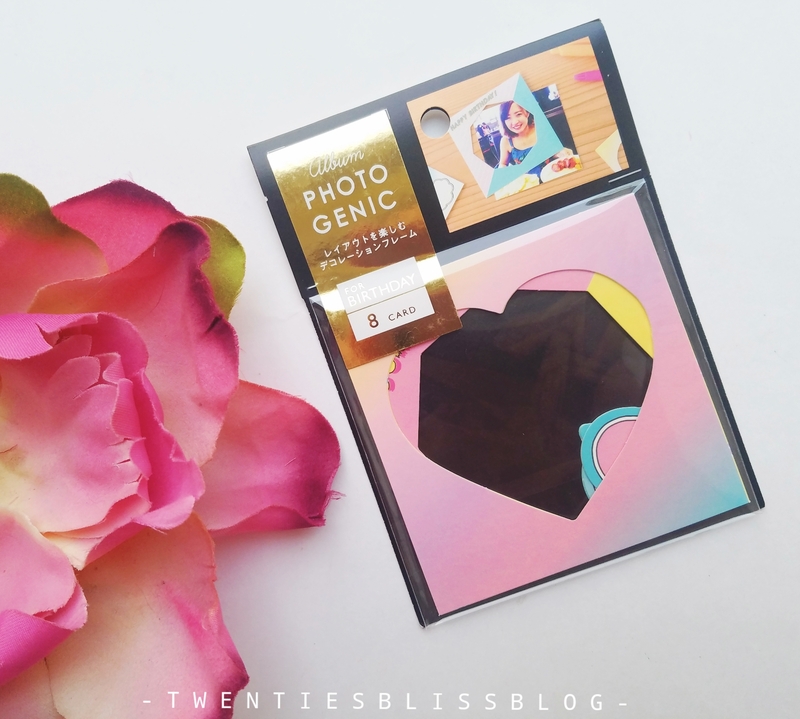 As the whole box theme is pastels, a set of 8 photo frames are included which are lightweight yet classy at the same time. For the year 2019, i decided to create a memory spread in my bullet journal where i will paste the photos related to each month as a memory. I will be using these as a frames for my photos. I cannot emphasize enough, how thankful i am for the invention of correction tapes. 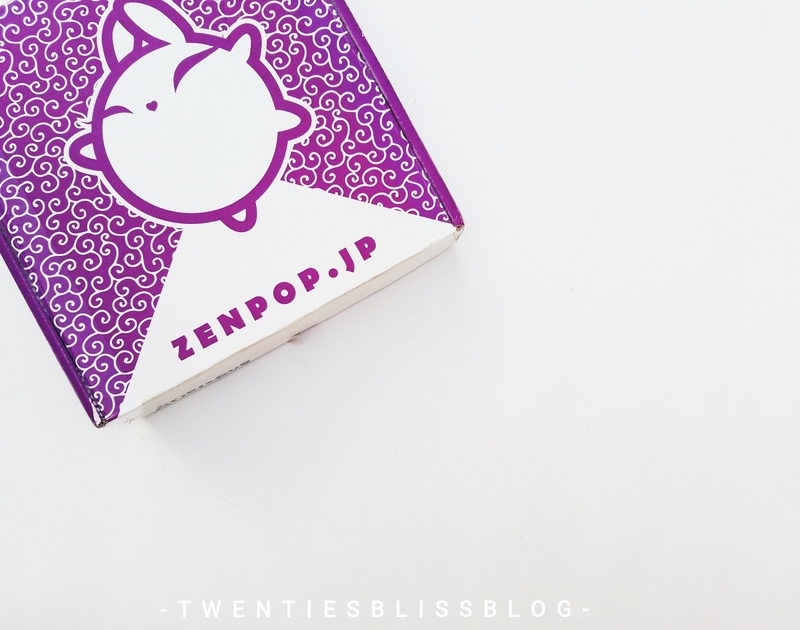 And even thanking more to the zenpop for including it in this months pack. But the cherry on top is that they included either a hello kitty or my melody. Decorated with glitter, a lot of glitter actually. 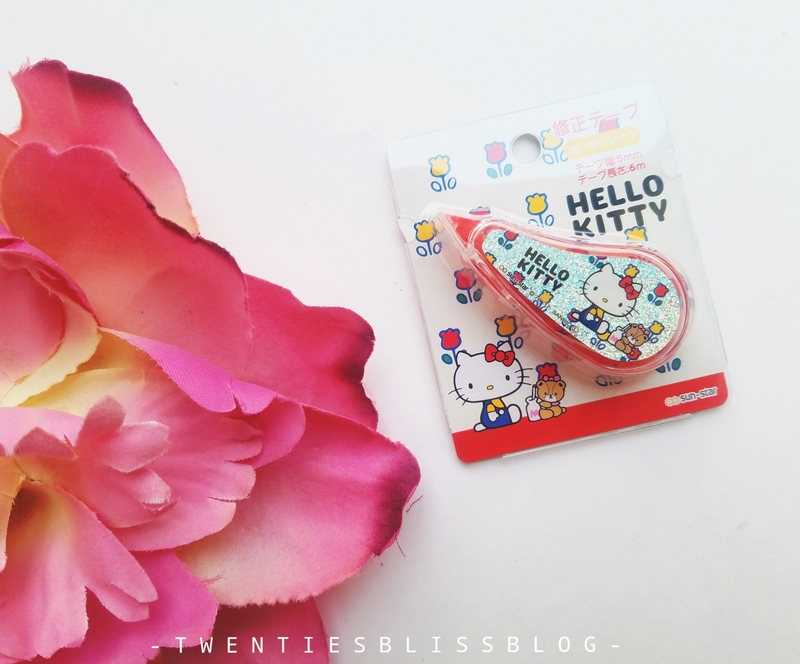 I got it in the hello kitty version. Being a cat owner, i am obsessed with cats or anything with a cat on it. 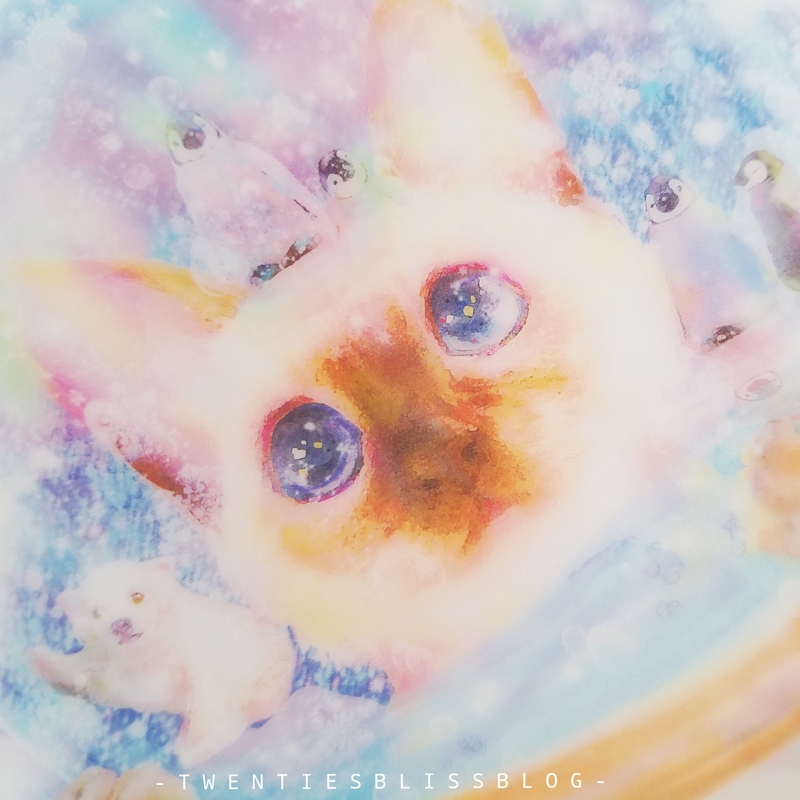 In this months pack, i got a cute little A6 File with some pictures of cats showing their mysterious lives. It is perfect to fit in your handcarry to put all your reciepts and stuff in it. 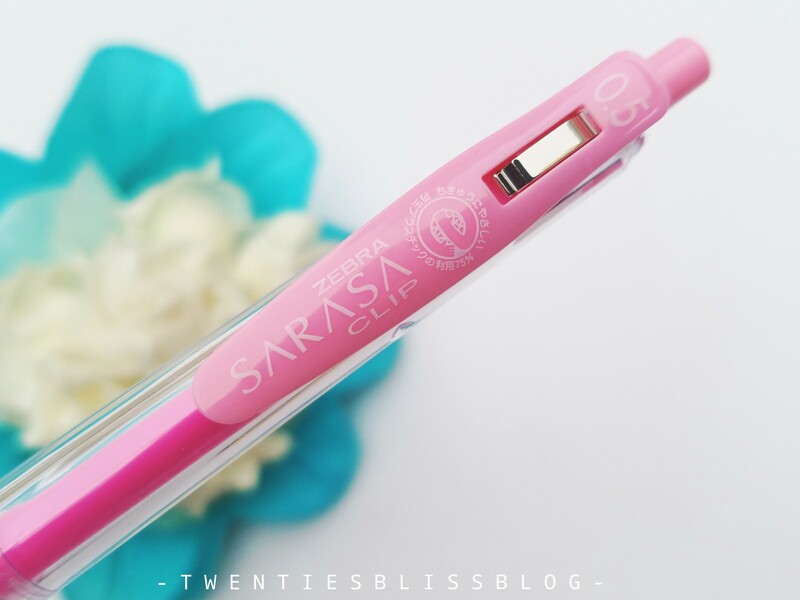 This metallic pen from sakura can be used on any surface. Metallics are always so classy and smooth to work with, i got it in the shade pink. 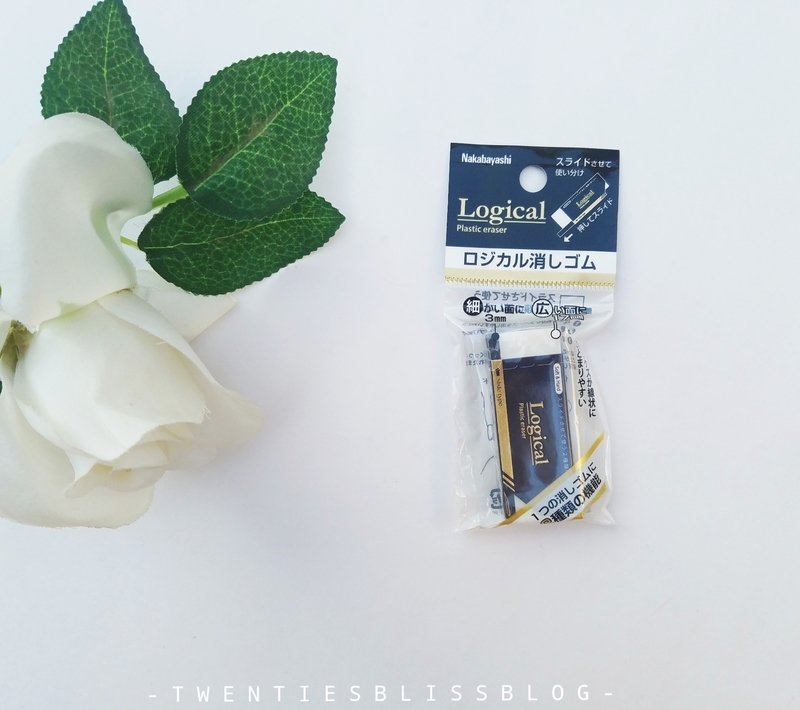 Another mechanical pencil from the brand “Kokuyo” is included. I got it in the pastel lavender coloured. For some reasons i am so much into the colour lavender these days, so seeing this in a pack was a bliss. 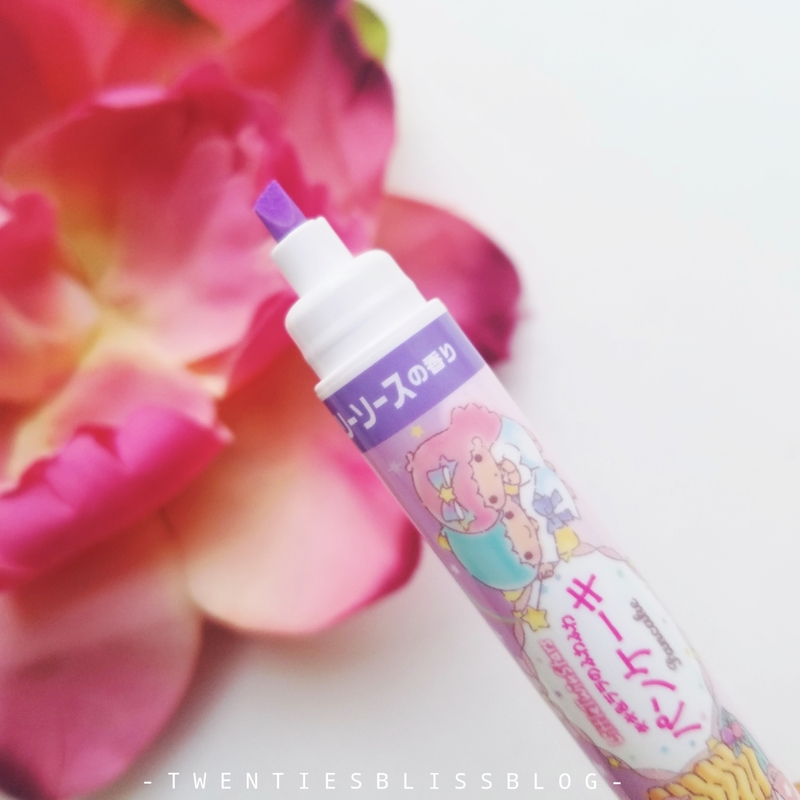 Dual ended highlighter from sanrio are not just for highlighting but its smells like pancakes and blueberry sauce. 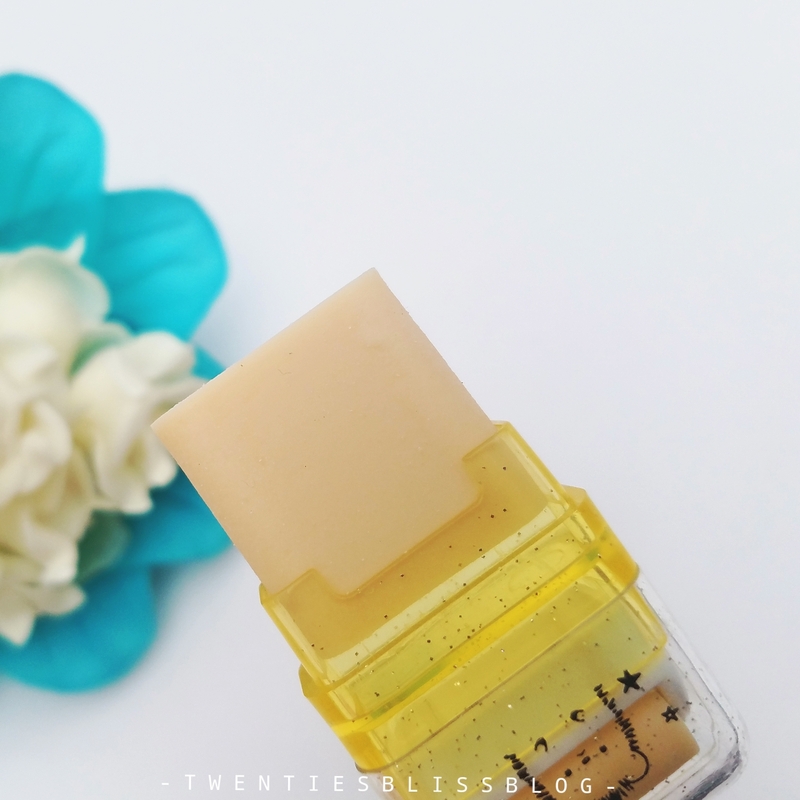 A very unique feature for any highlighter to possess.